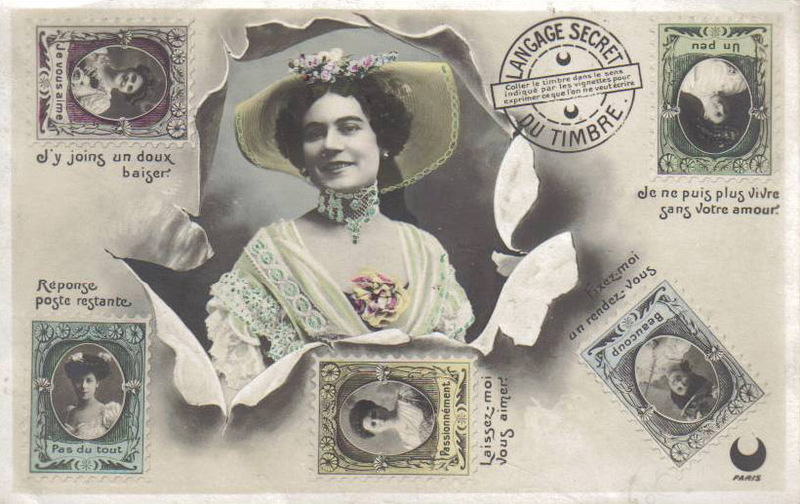 Photos of Geneviève Lantelme figure on 2 postcards from “Langage secret du timbre” series (“The secret language of stamps”). 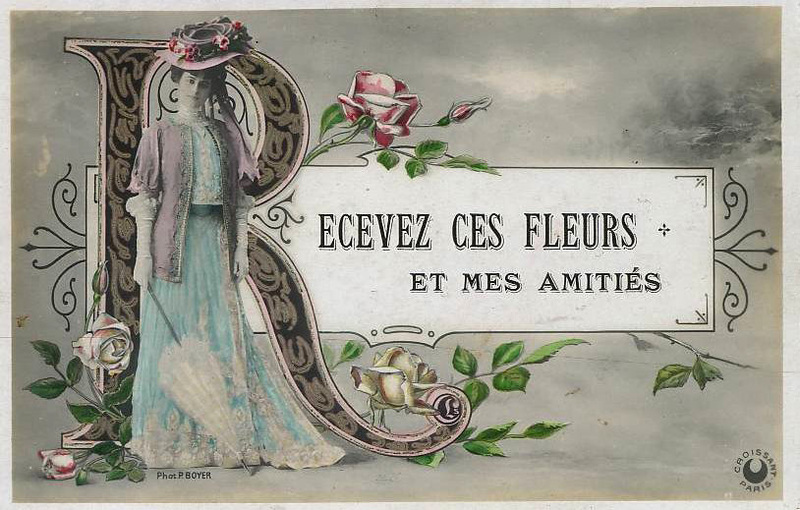 This kind of postcards about secret language of flowers, fans, stamps etc. 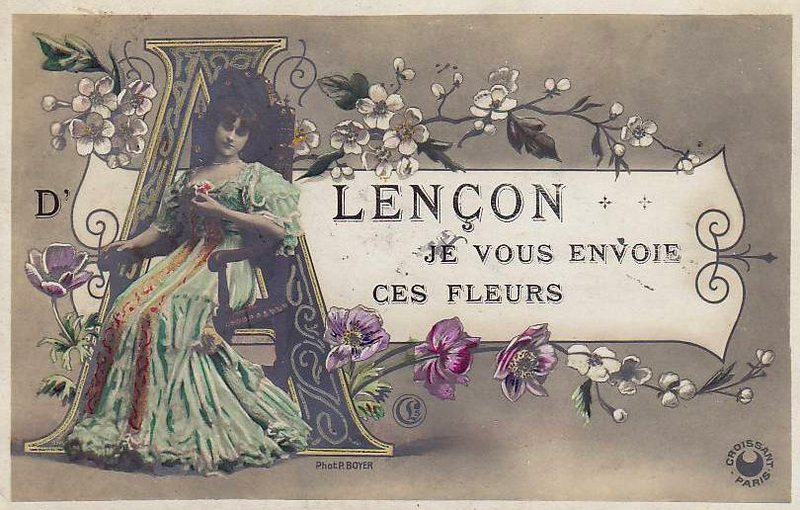 seem to be very popular during la Belle Epoque. 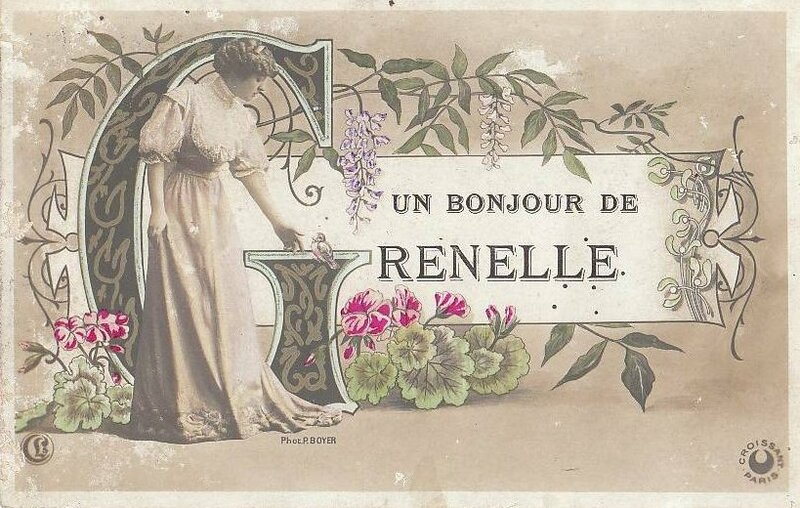 Postcards with Lantelme photos were issued by “Croissant” (not named, but it’s their logo) circa 1907. 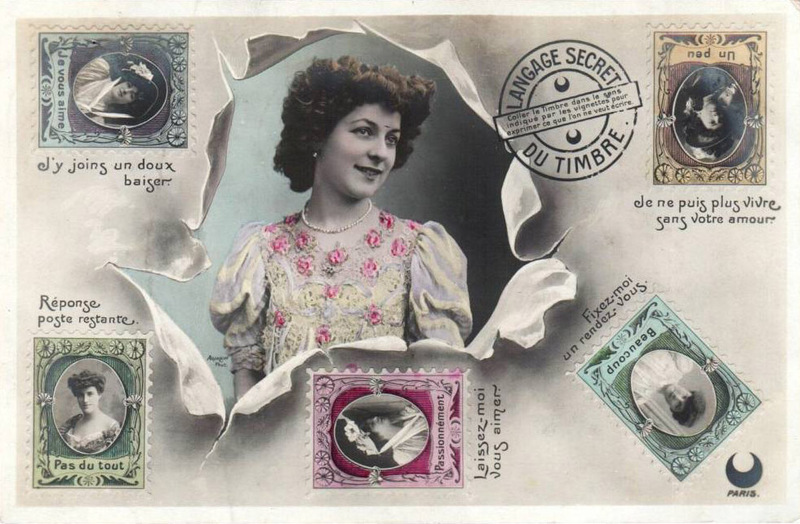 Geneviève Lantelme on “Langage secret du timbre” postcard (in the center). 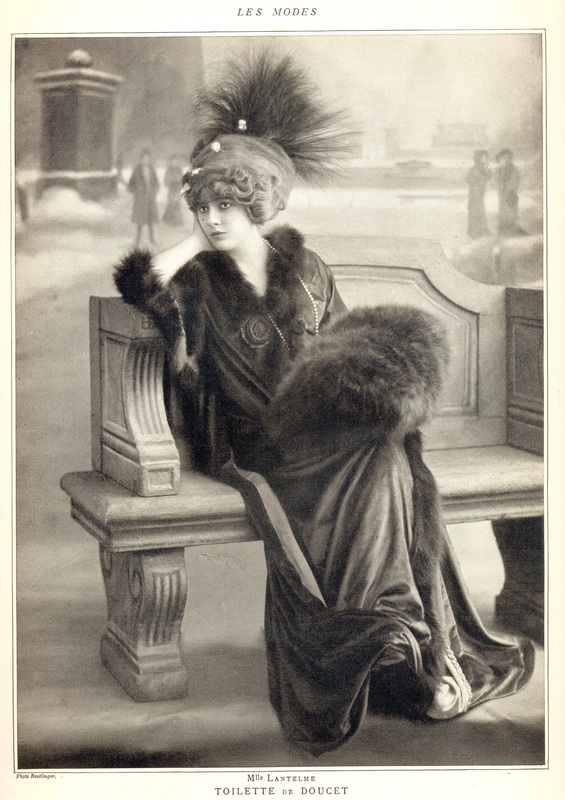 A similar photo was used for “Les Modes” cover in 1907. 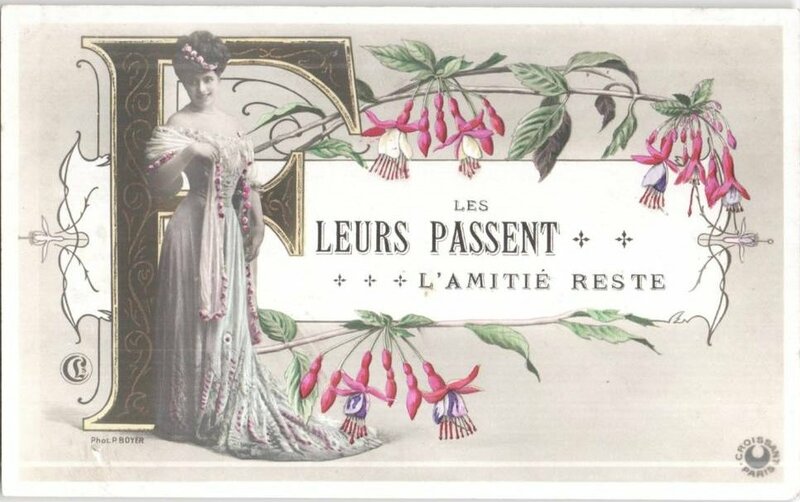 And here Lantelme is on a “stamp” on the left (“Pas du tout”). 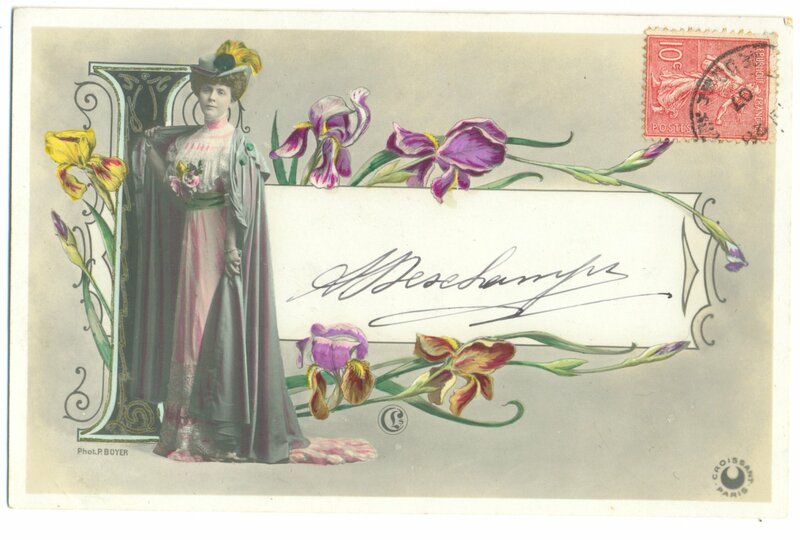 The actress on the postcard above is Colonna Romano. 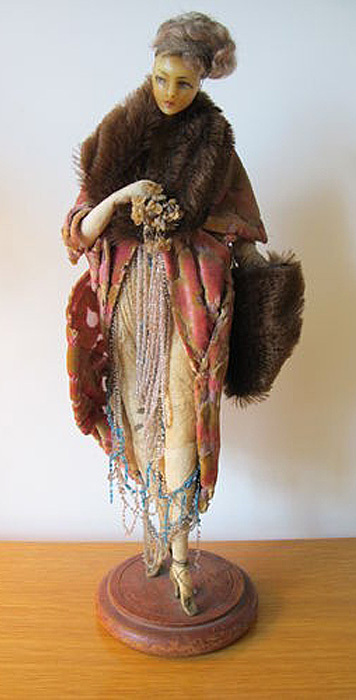 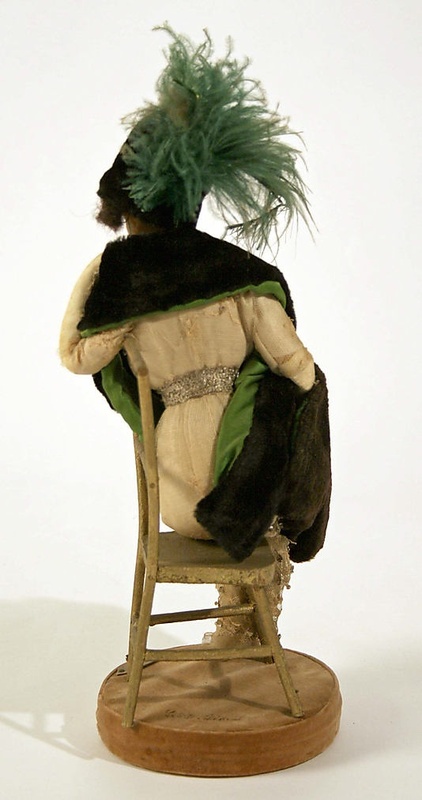 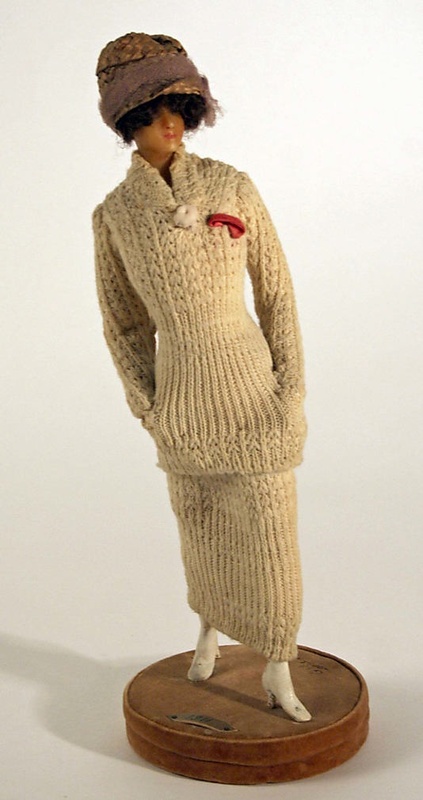 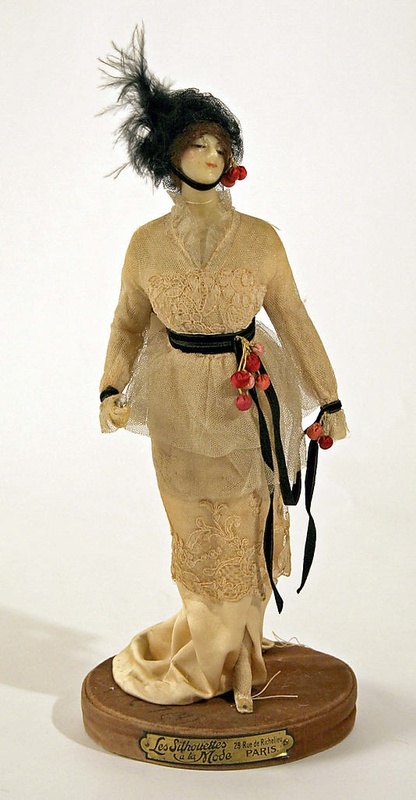 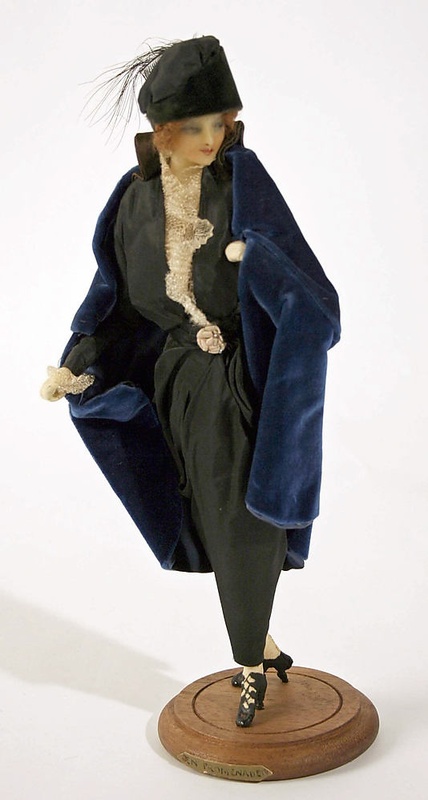 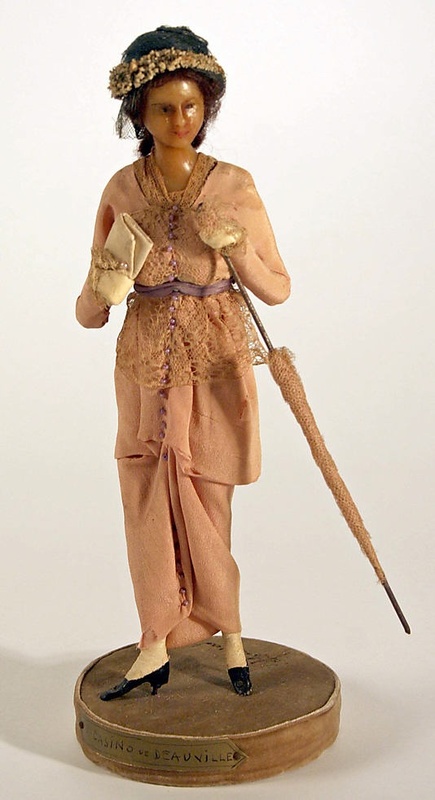 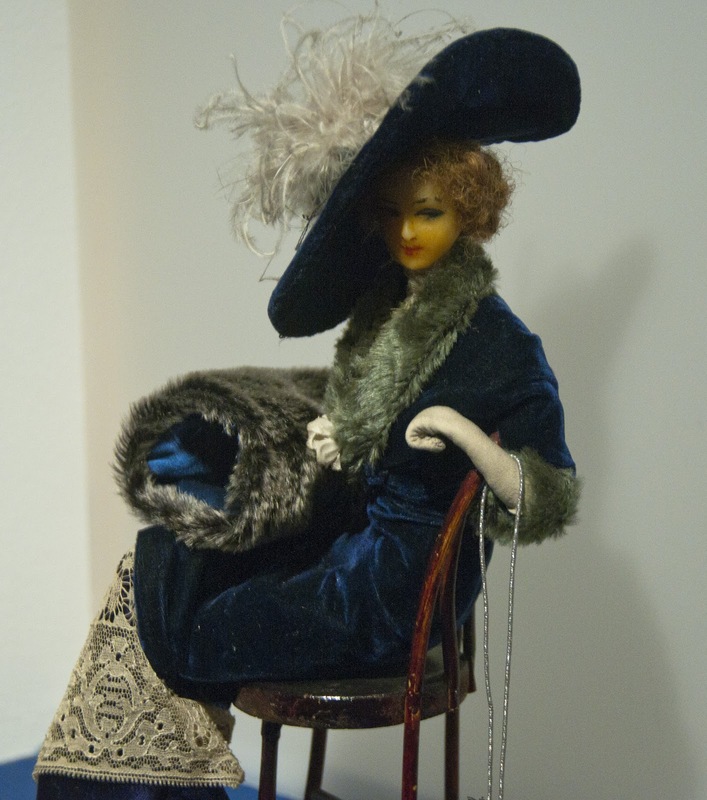 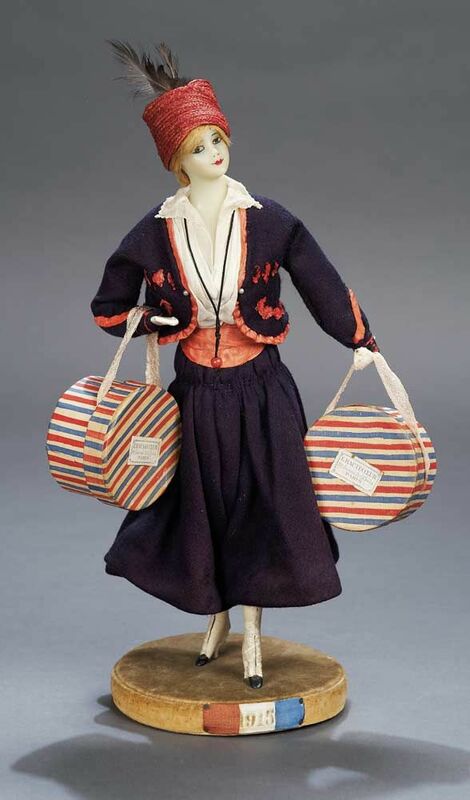 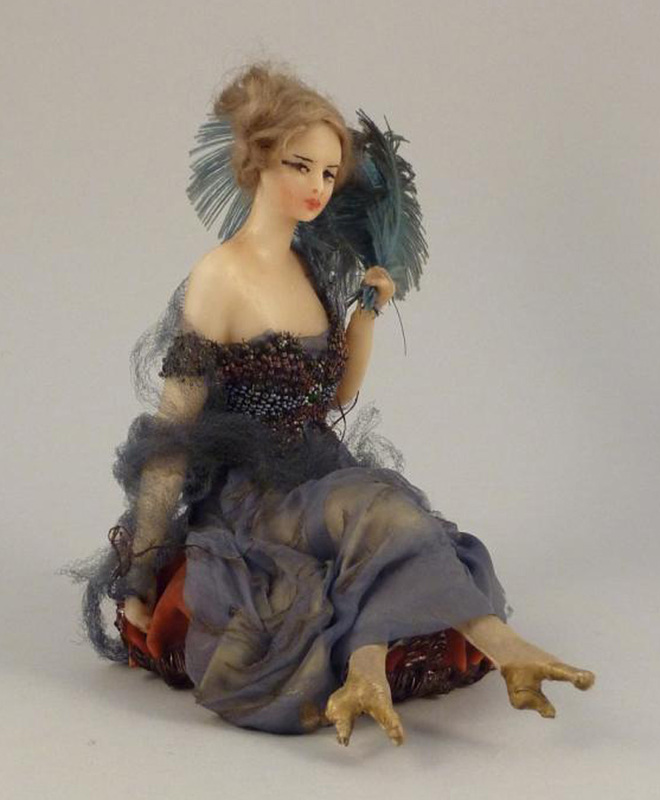 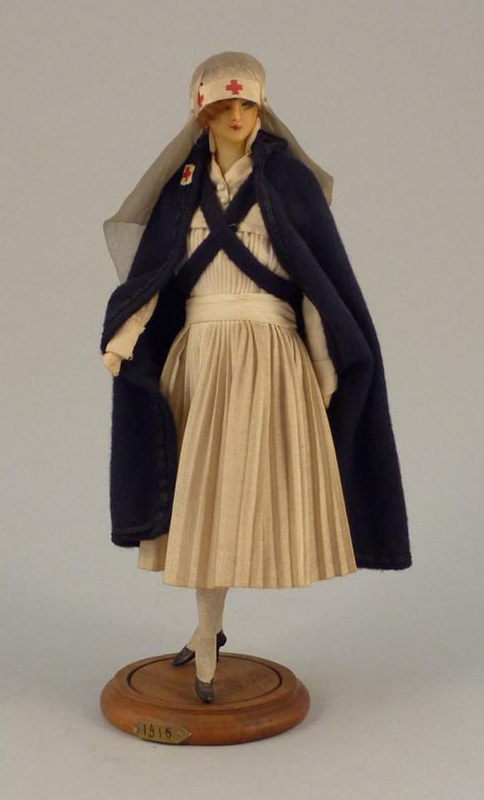 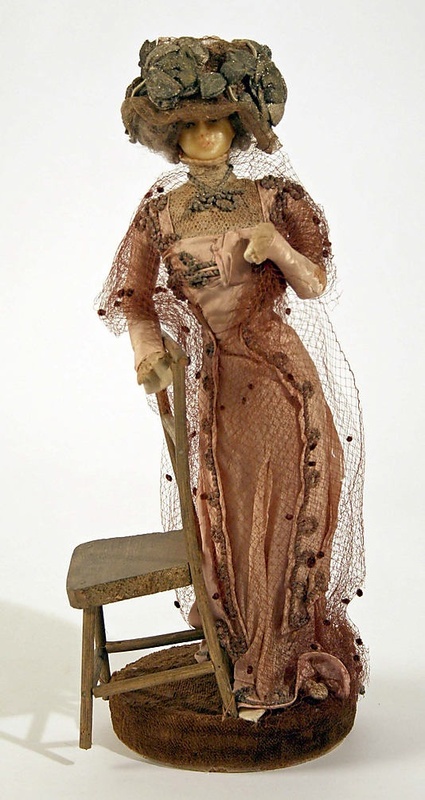 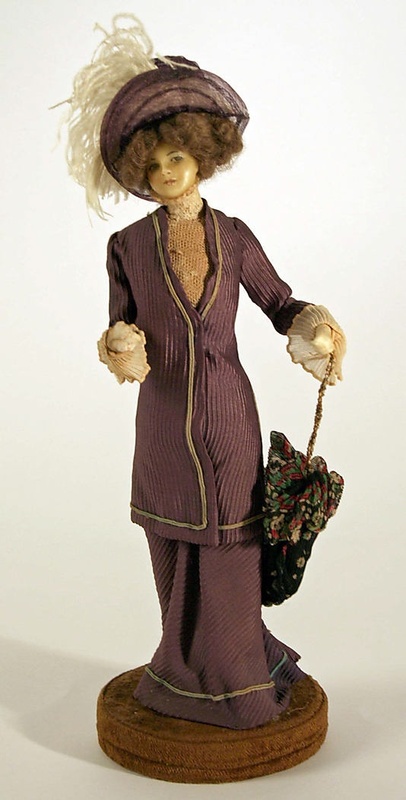 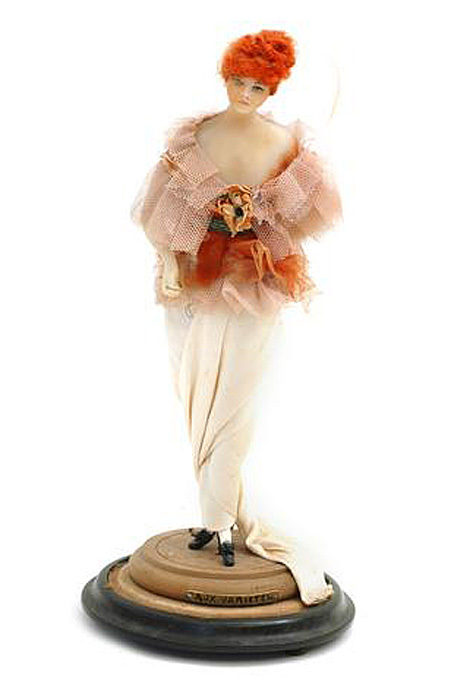 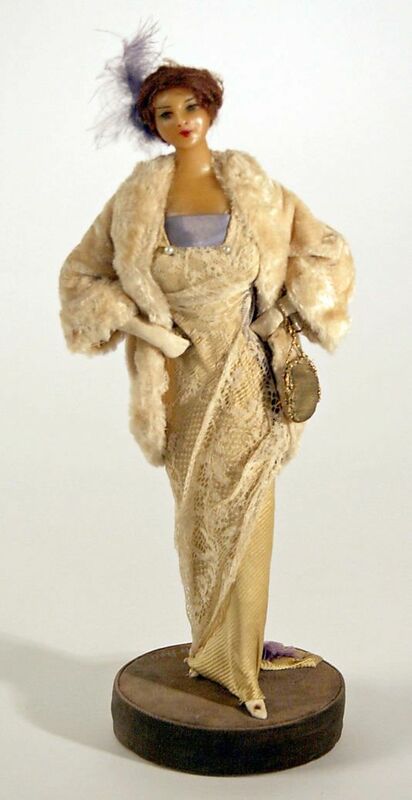 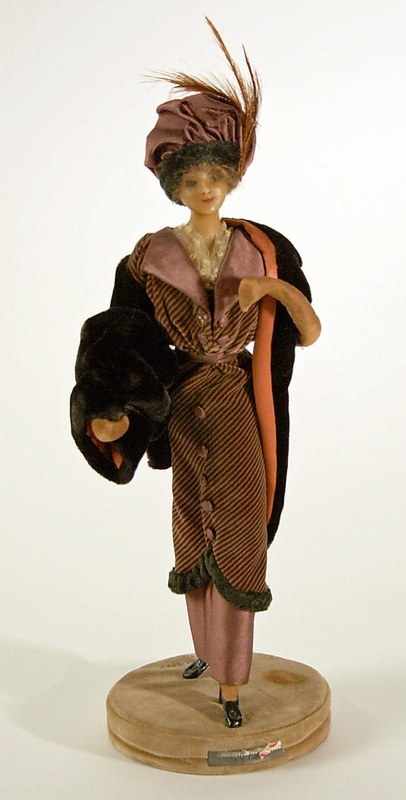 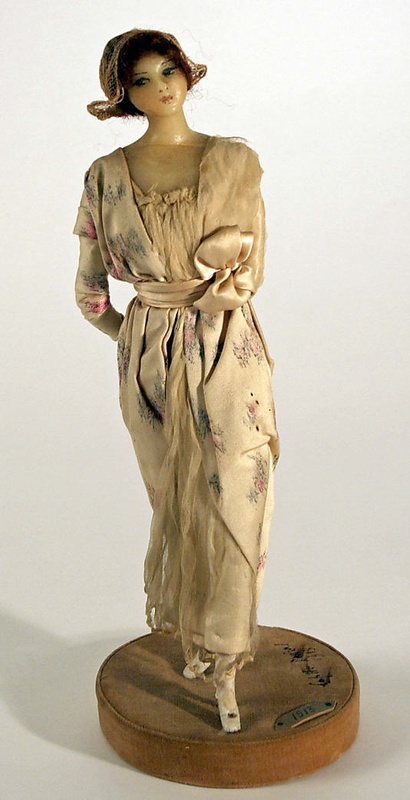 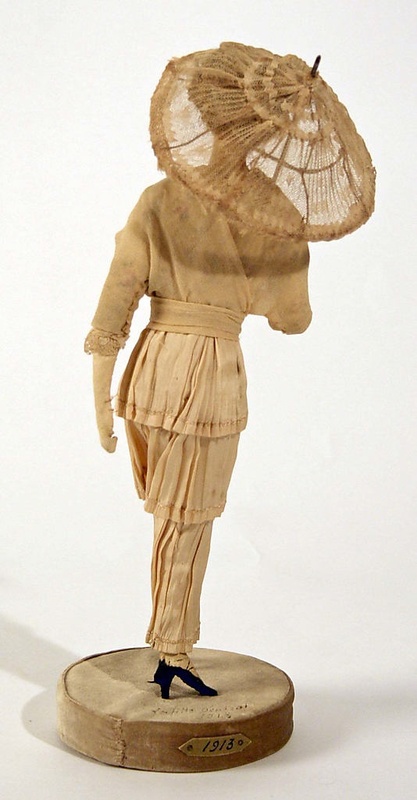 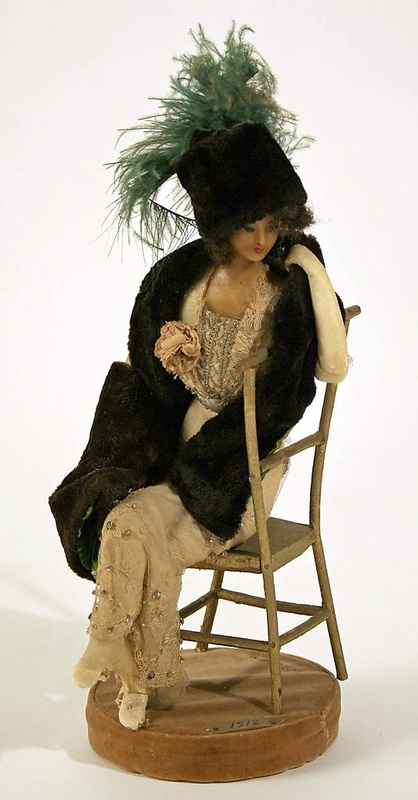 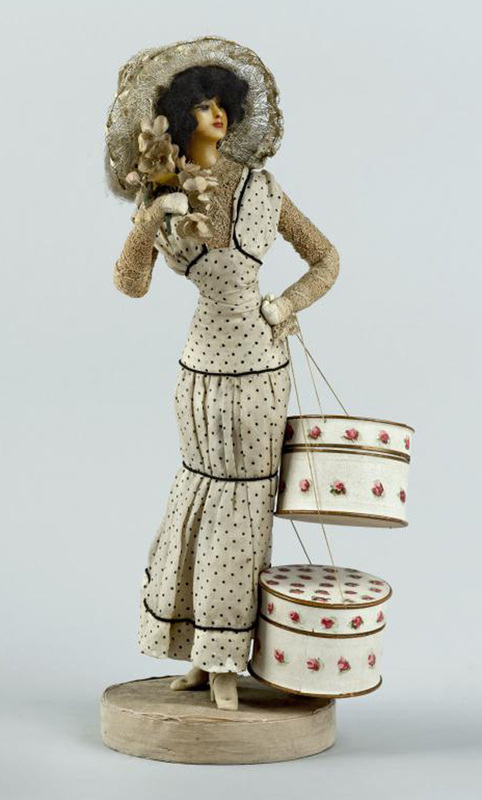 More photos of French fashion dolls, mostly by Lafitte Désirat and mostly made circa 1910/1916. 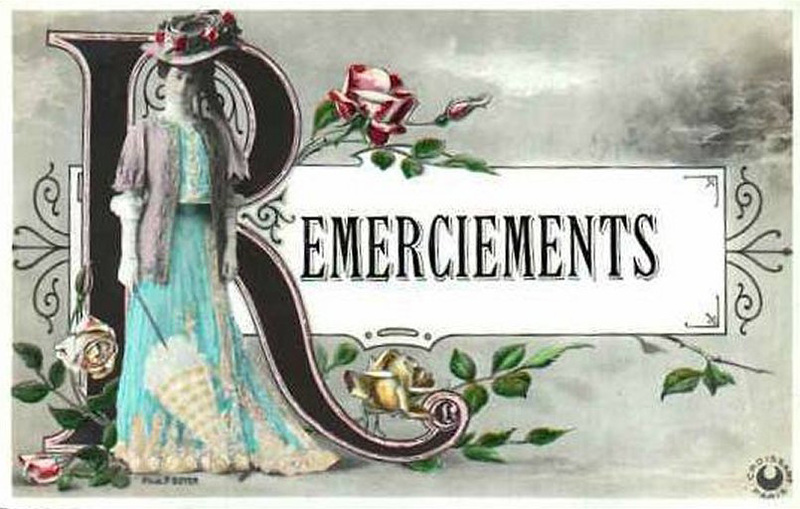 Pictures found via google. 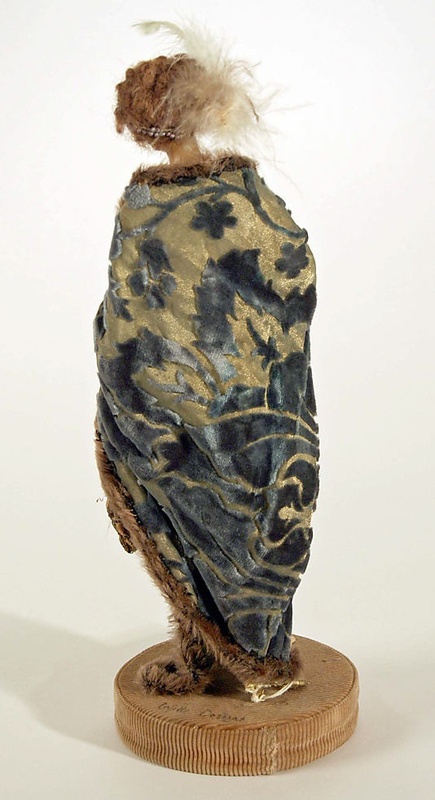 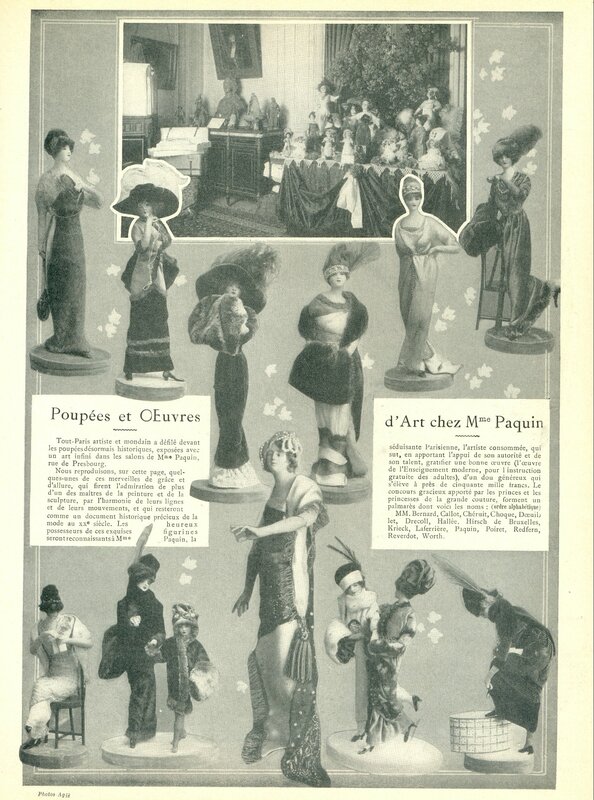 When few months ago I published on my blog this scan with photos of Belle Epoque fashion dolls, I knew nothing about them, but Corinne helped me to find some information. 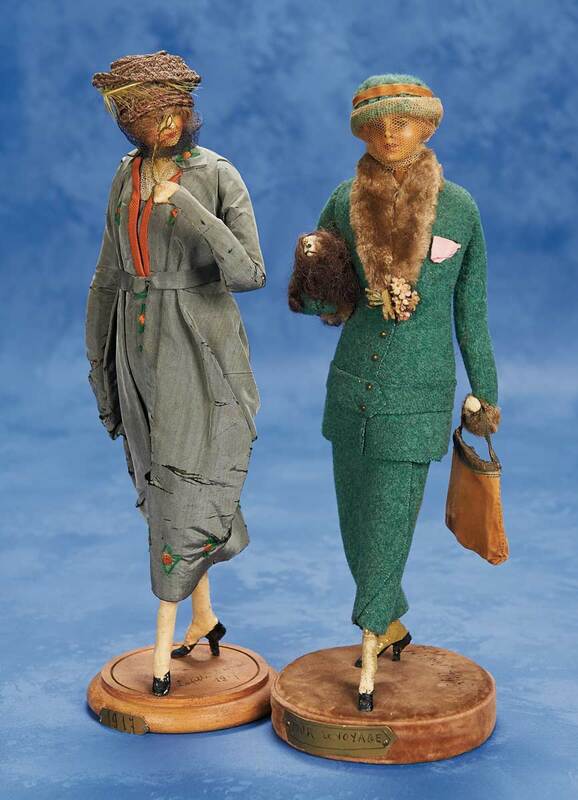 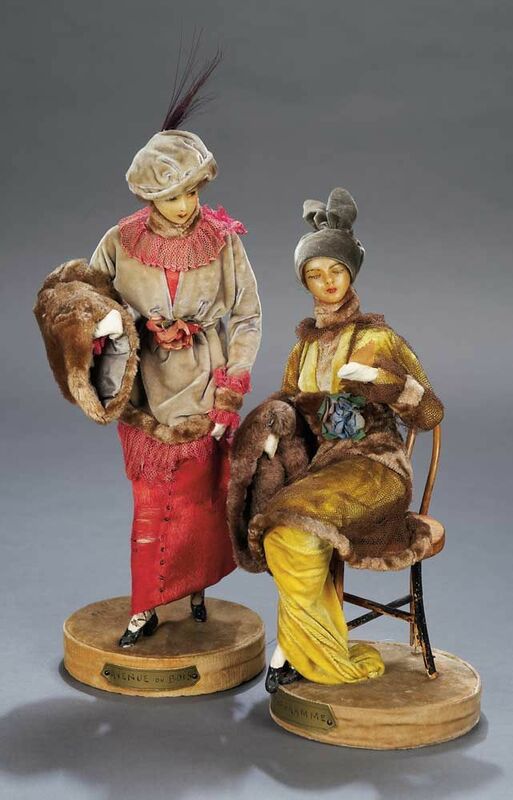 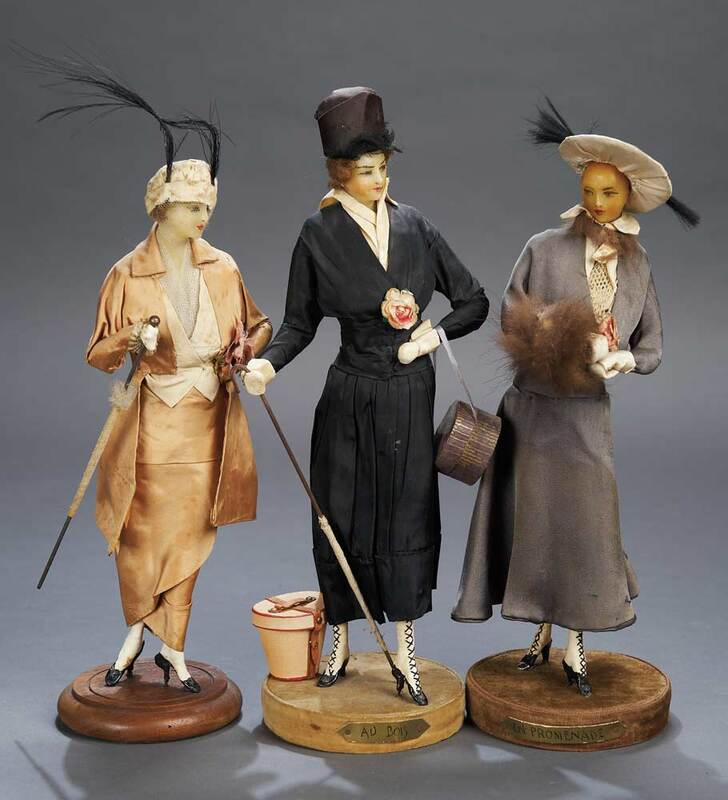 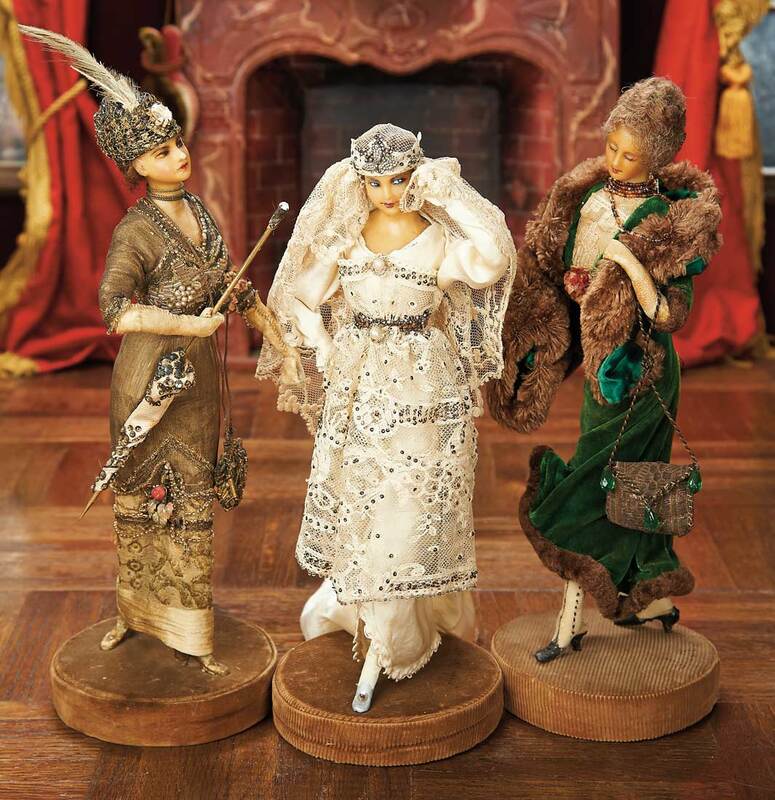 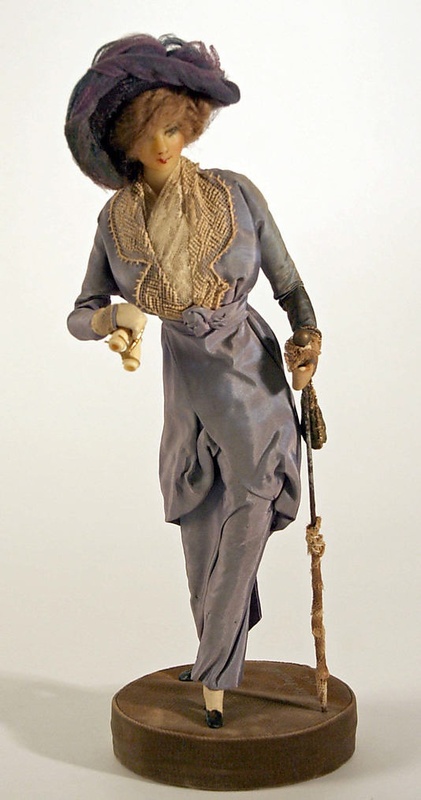 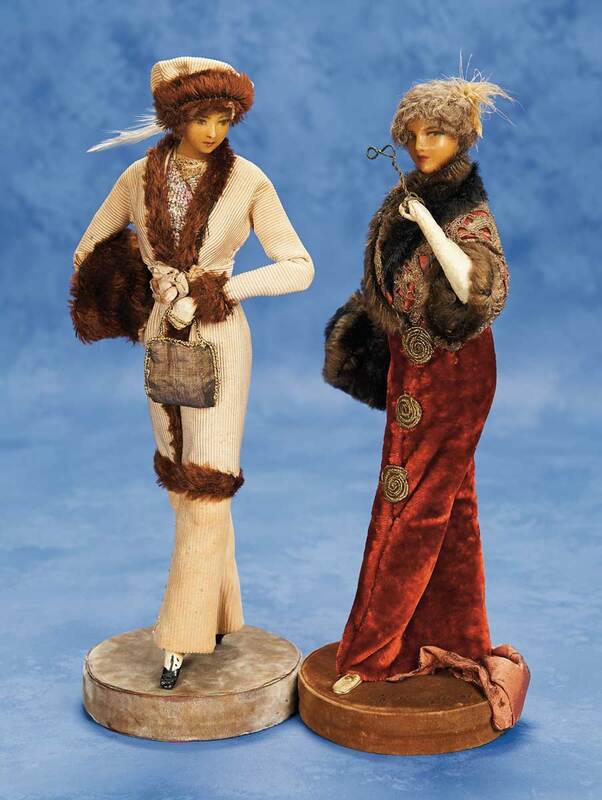 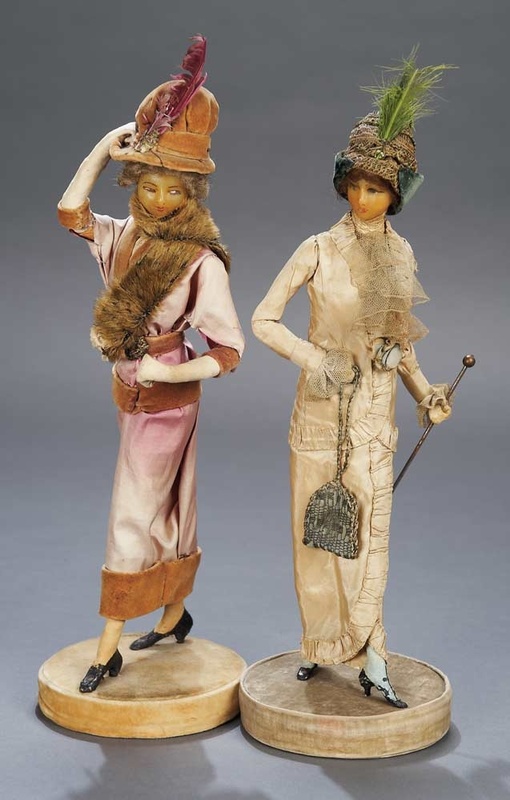 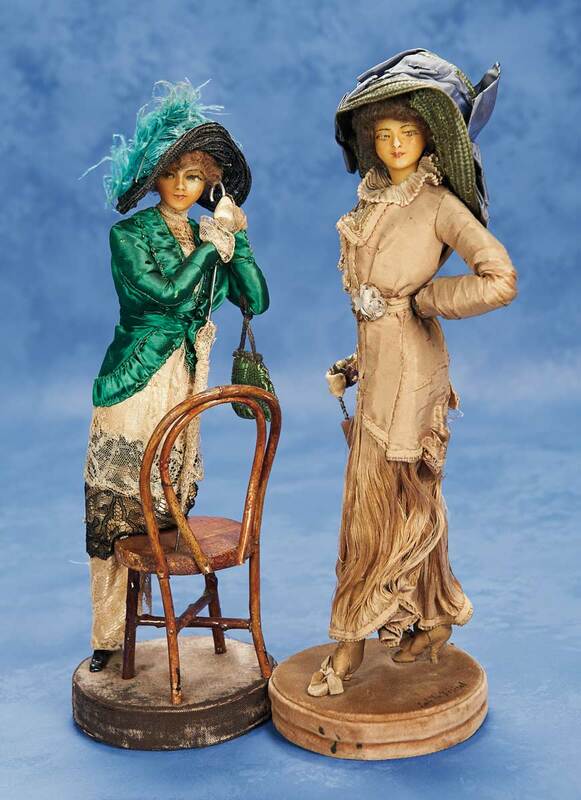 These fashion dolls (poupées élégantes) seem to be very popular in France circa 1900/1914. 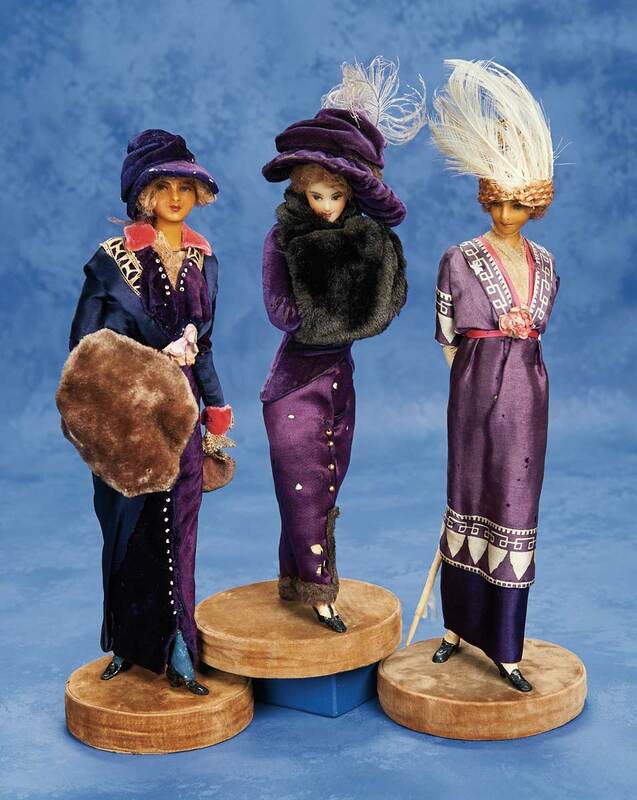 They were made from wax and generally were Barbie size. 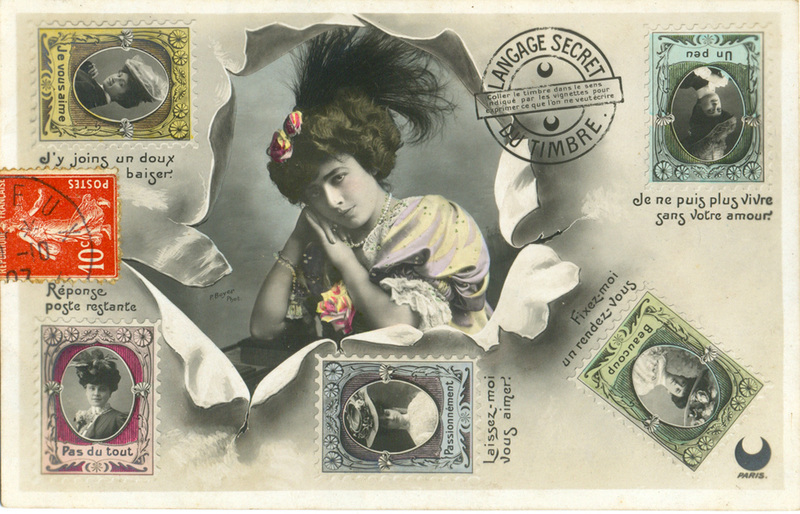 I’ve found 8 postcards, but I’m not sure it’s all the series because these postcards are rare. 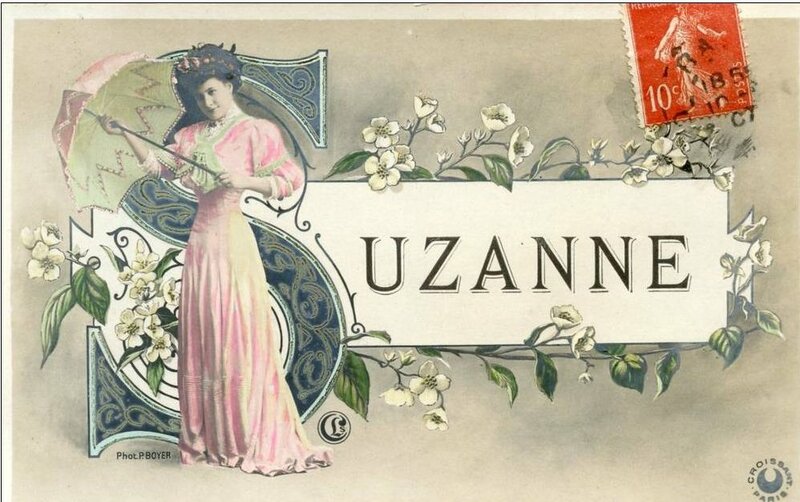 All pictures were found via google. 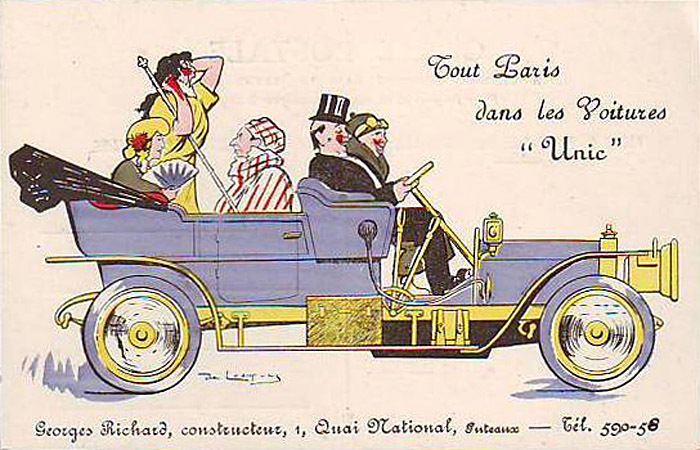 “Tout Paris dans les voitures UNIC”. 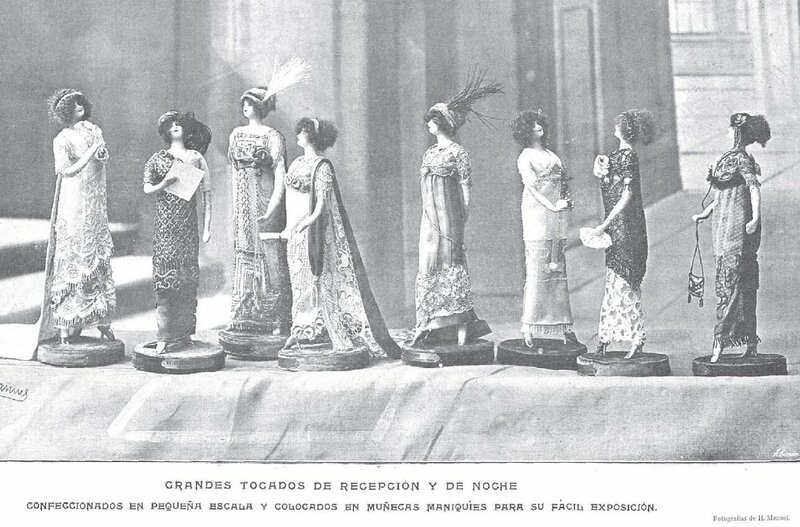 Par de Losques. 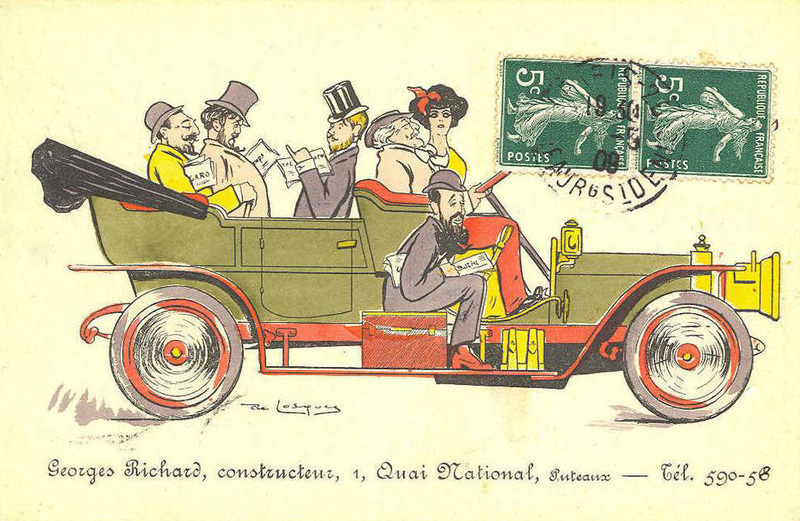 Retour de chasse presidentielle. 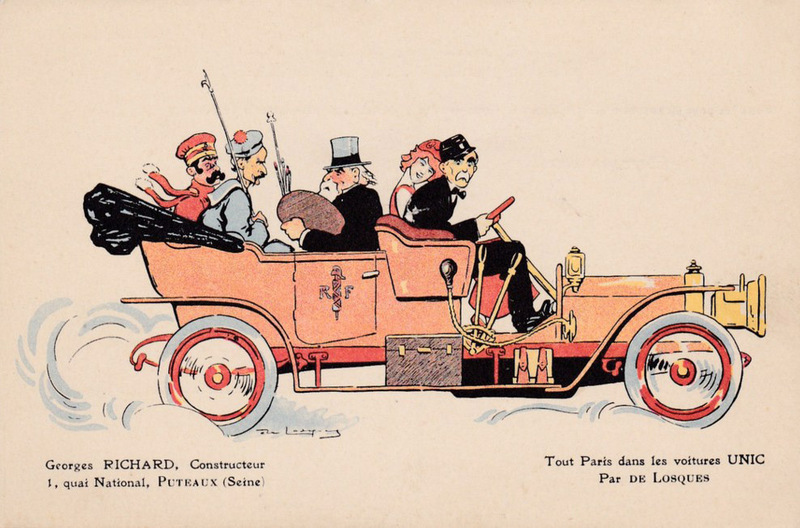 I’ve recognized tsar Nicolas (second from left), first from left is king Edward VII (?). 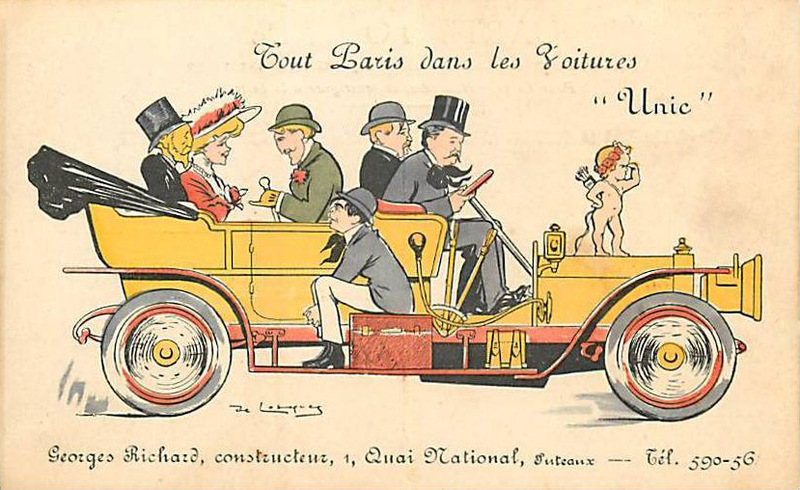 “Tout Paris dans les voitures UNIC”. 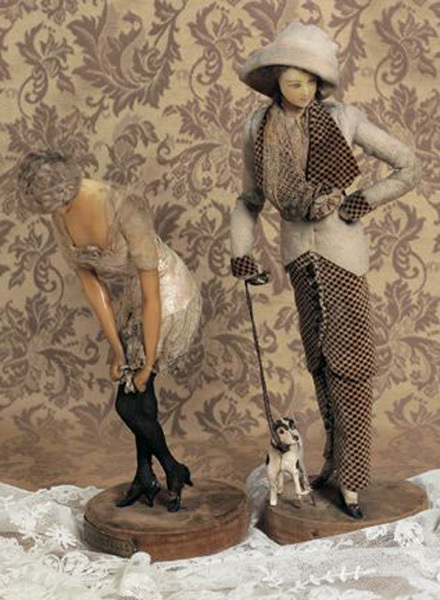 Par de Losques. 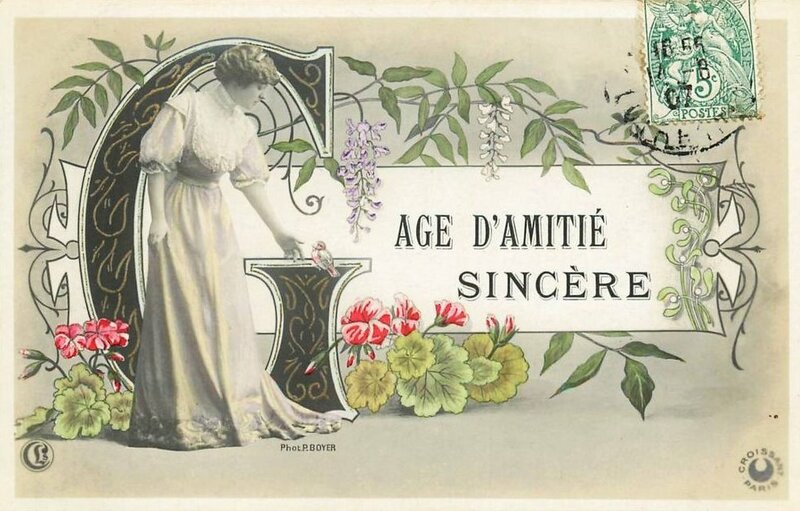 Politiques. 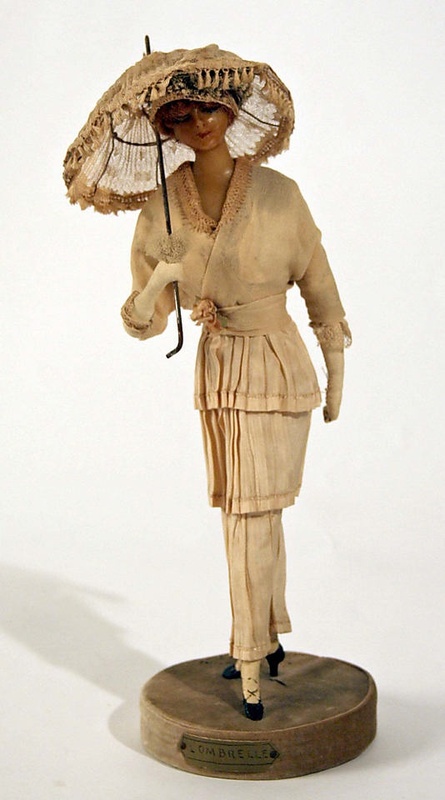 A lady with an umbrella must be Réjane and an actress in the center is Louise Balthy (?). 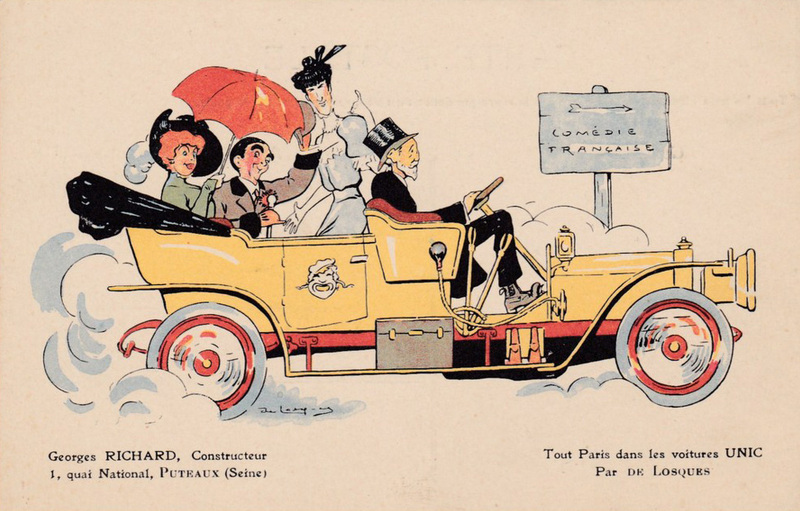 “Tout Paris dans les voitures UNIC”. 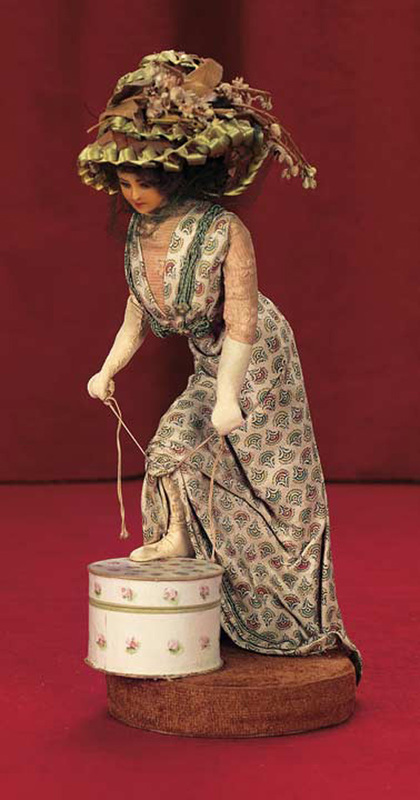 Par de Losques. 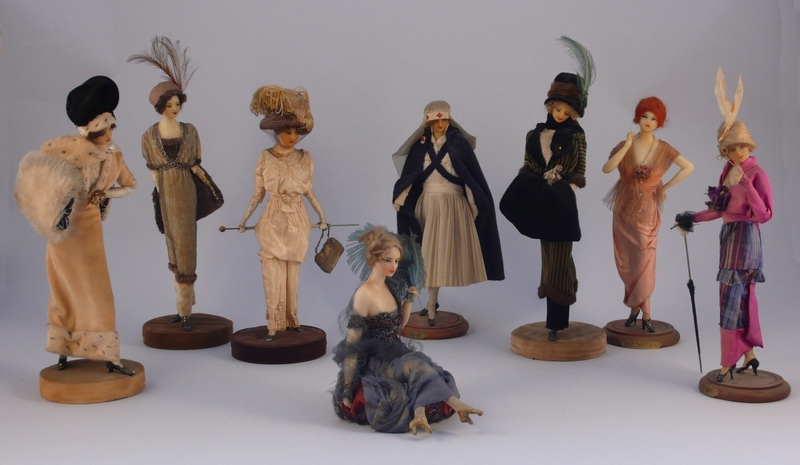 Acteurs tragiques. 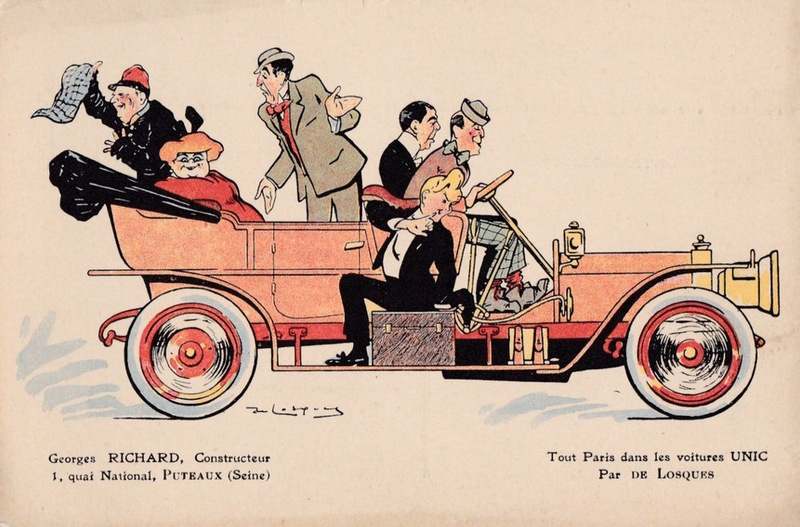 “Tout Paris dans les voitures UNIC”. 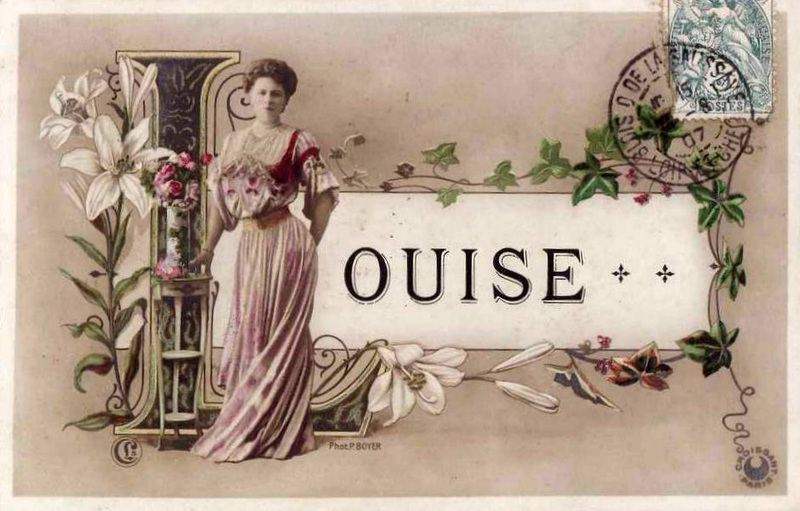 Par de Losques. 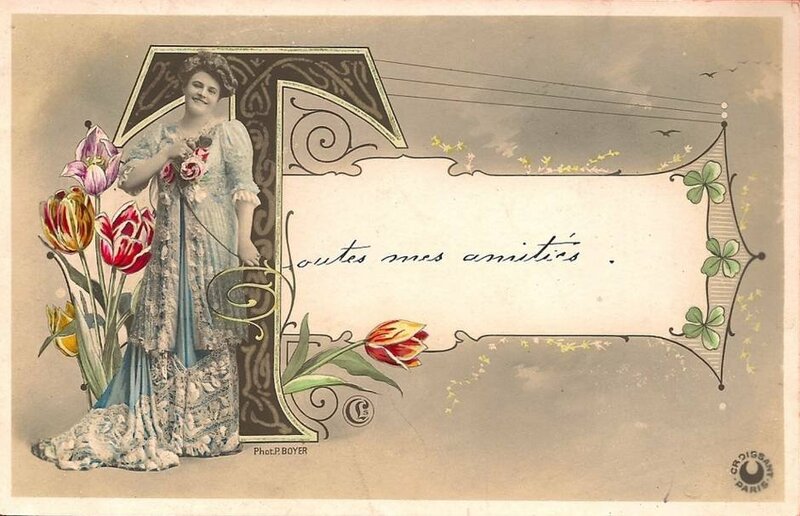 Acteurs comiques. 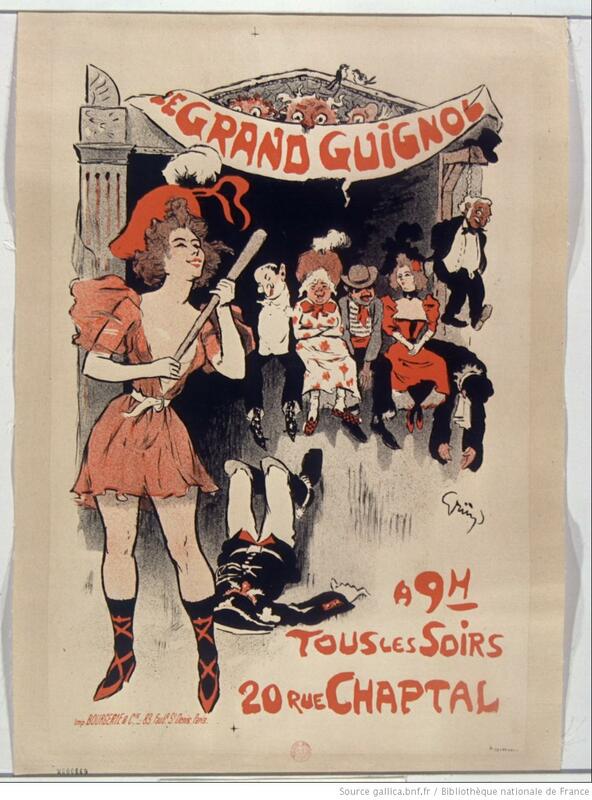 Standing in the center is an actor Max Dearly. 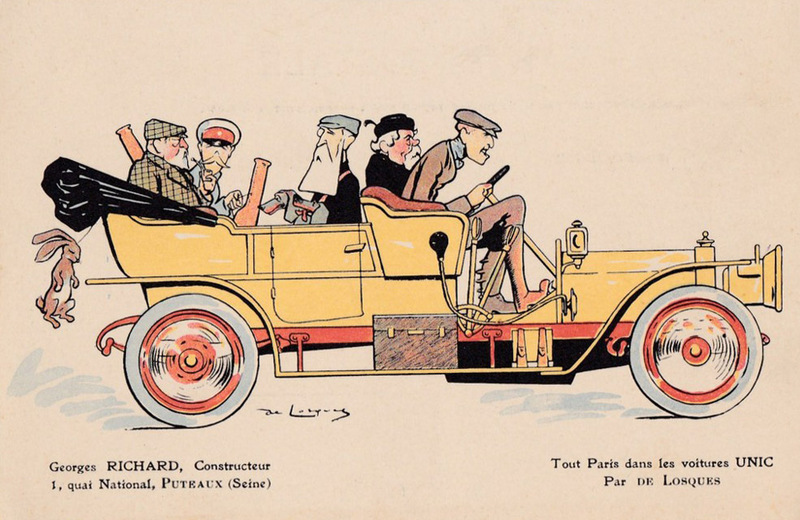 “Tout Paris dans les voitures UNIC”. 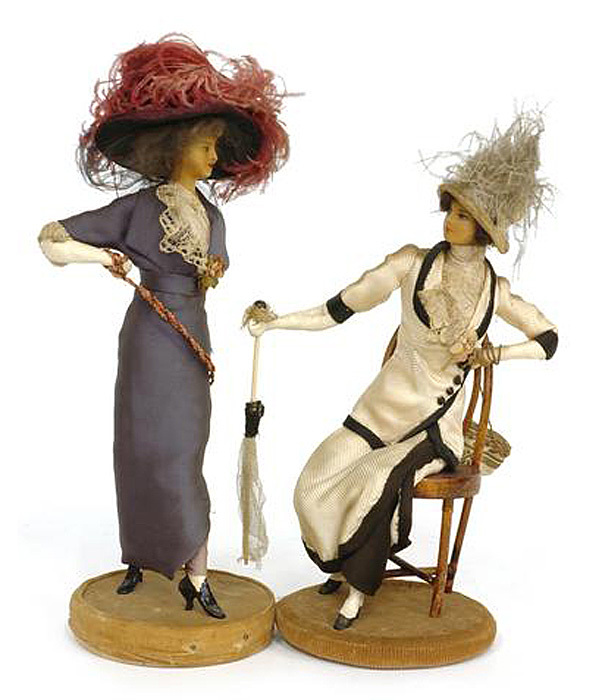 Par de Losques. 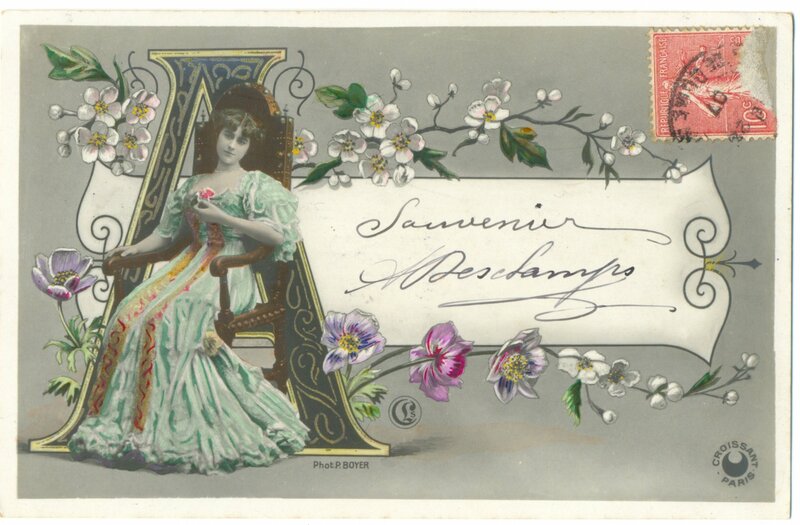 Auteurs. 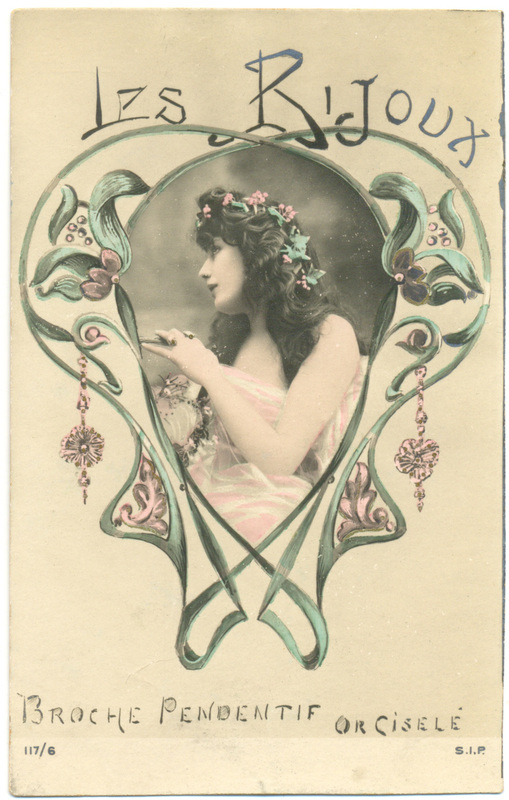 I think the lady on the picture is actress Marcelle Lender. 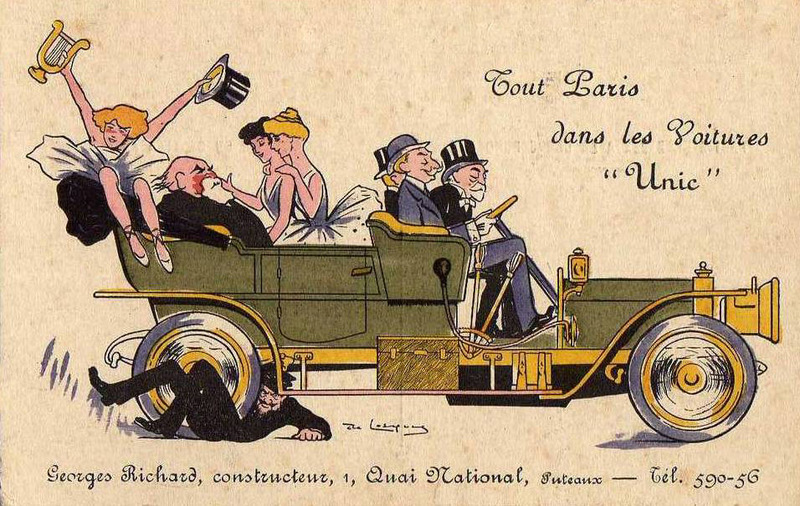 “Tout Paris dans les voitures UNIC”. 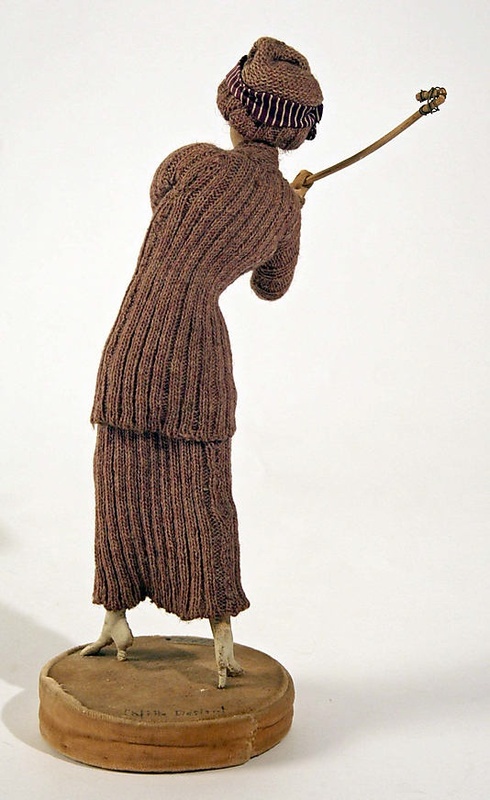 Par de Losques. 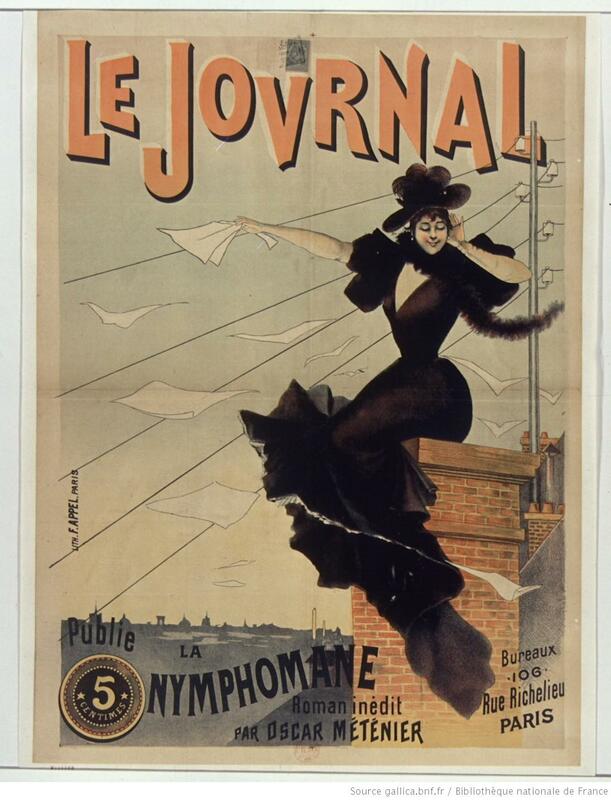 Journalistes. 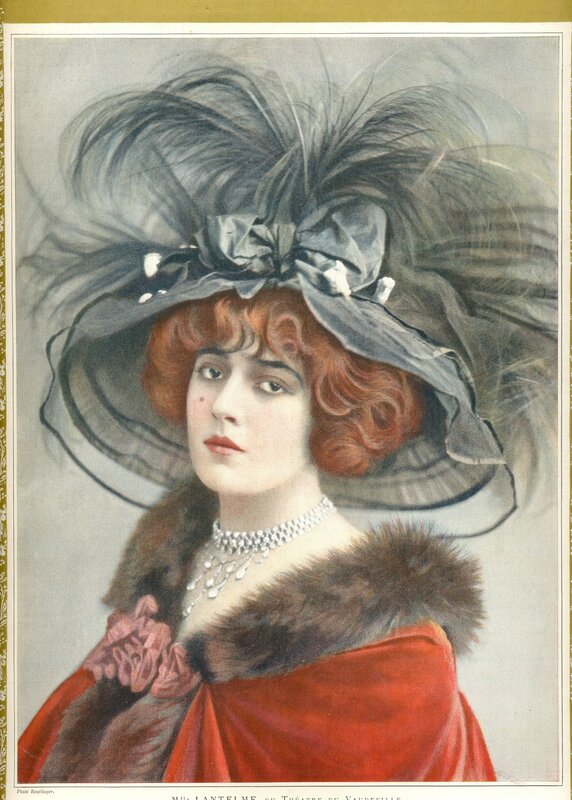 I’d like to say that a lady on the picture is Lantelme 🙂 but she looks more like Eve Lavallière. 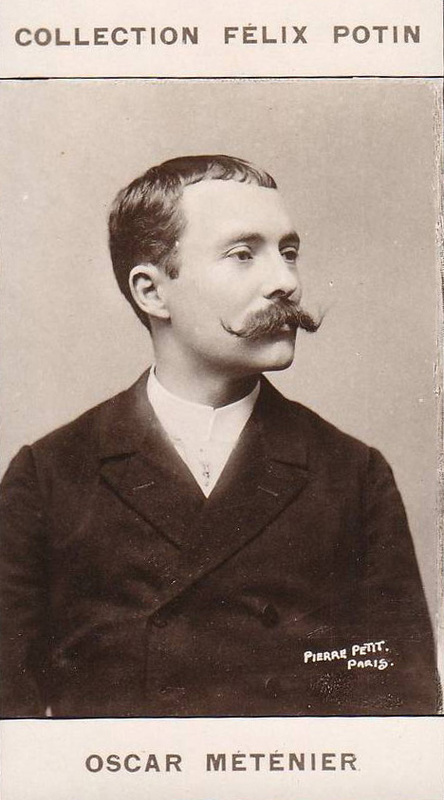 The author of these funny pictures Daniel de Losques died a hero during I World War, in an air fight. 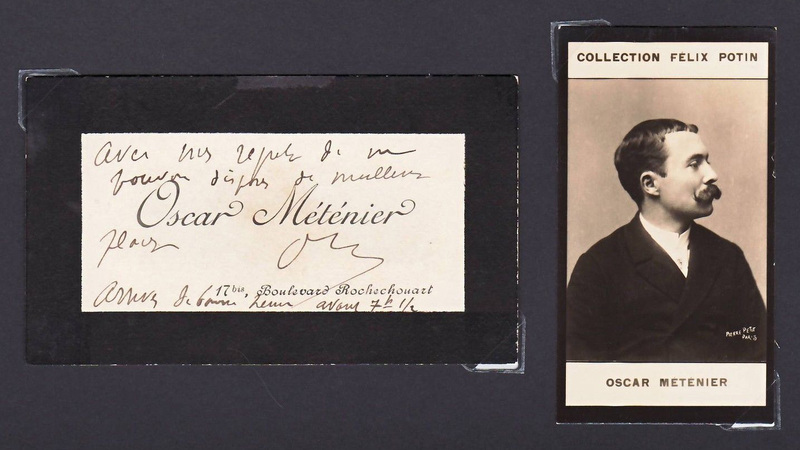 He was only 35 years old (info found here). 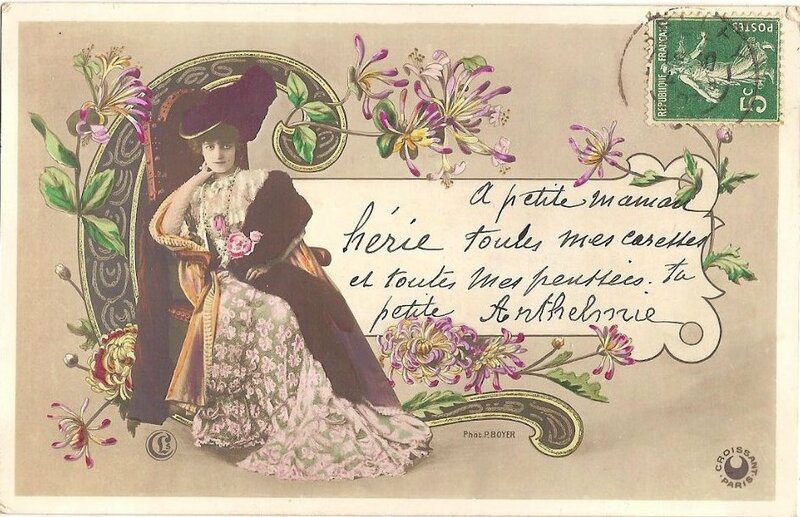 I wasn’t surprised when I discovered a photo of Lantelme on a postcard from “Les Bijoux” (“Jewels”) series 🙂 This series was issued by SIP circa 1903 and included 8 postcards. 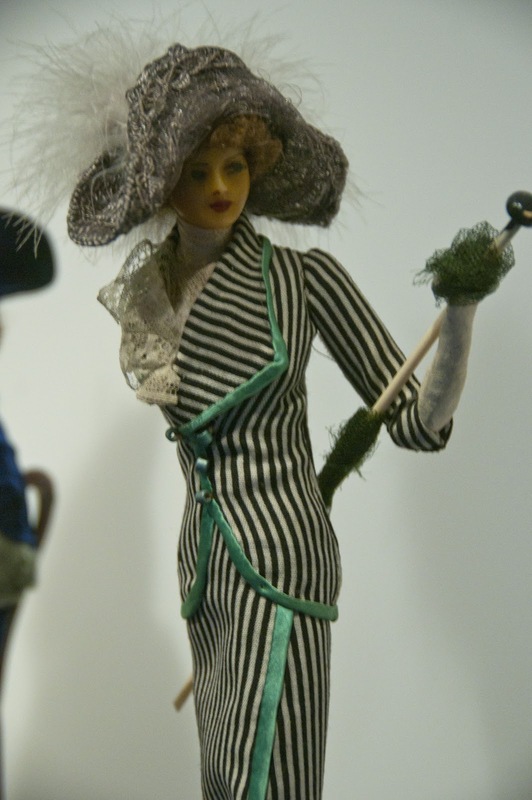 Photos are without captions, but some faces are still recognizable. 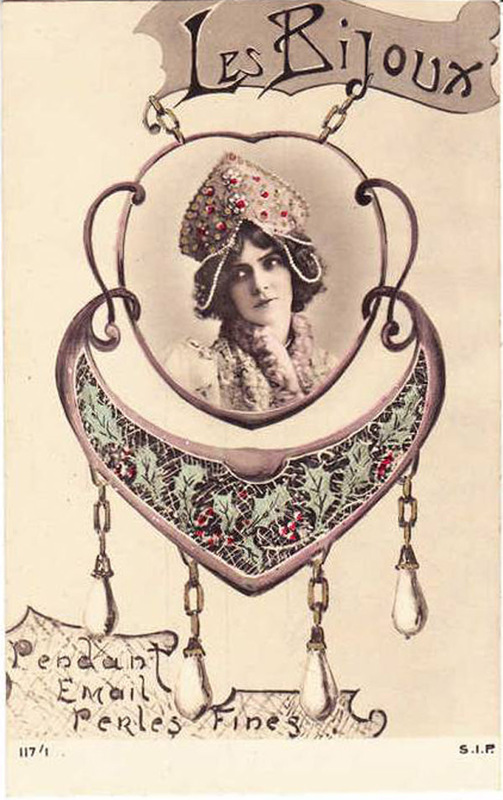 Postcard “Les Bijoux” # 117/1, “Pendant Email Perles Fines”. 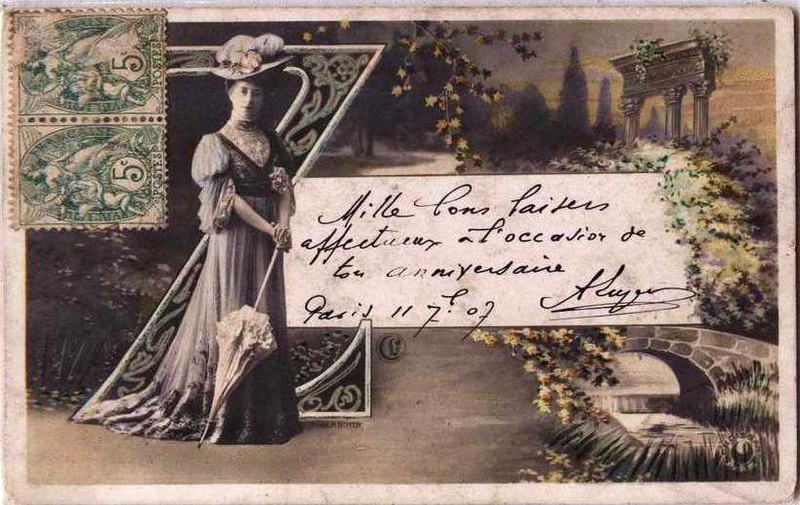 Photo of Eve Lavallière. 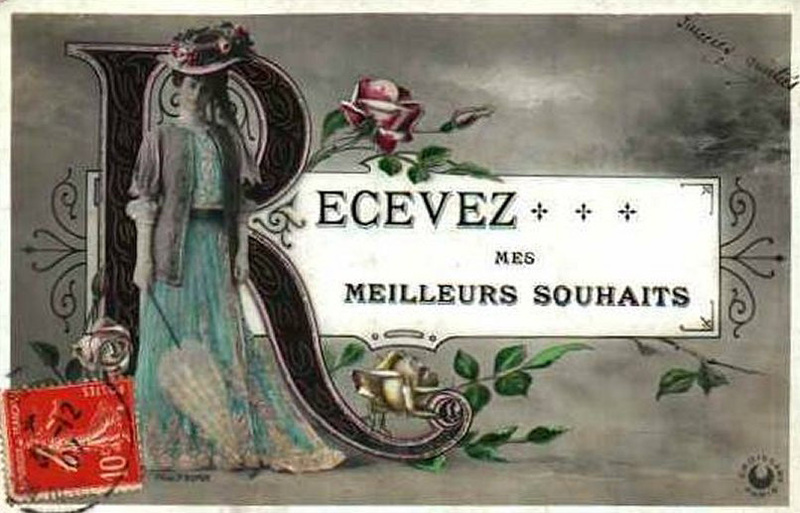 Postcard “Les Bijoux” # 117/2, “Broche Or Ciselé”. 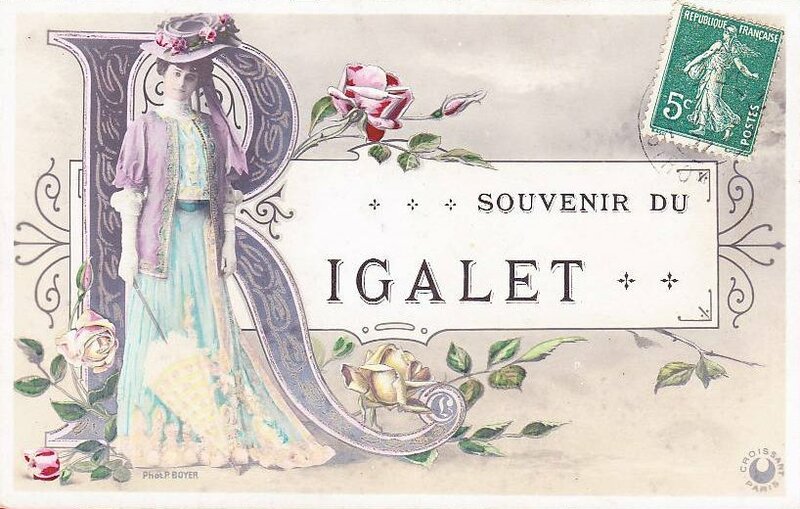 Postcard “Les Bijoux” # 117/3, “Peigne Or Ciselé”. 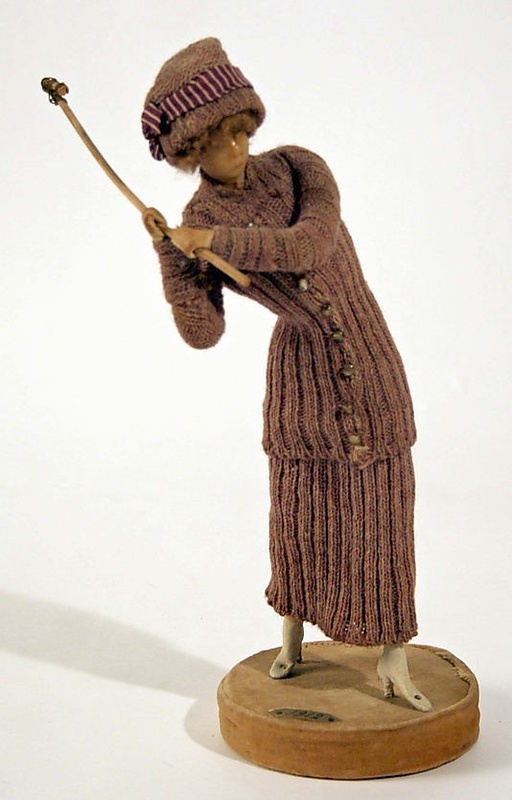 Photo of Caroline Otero. 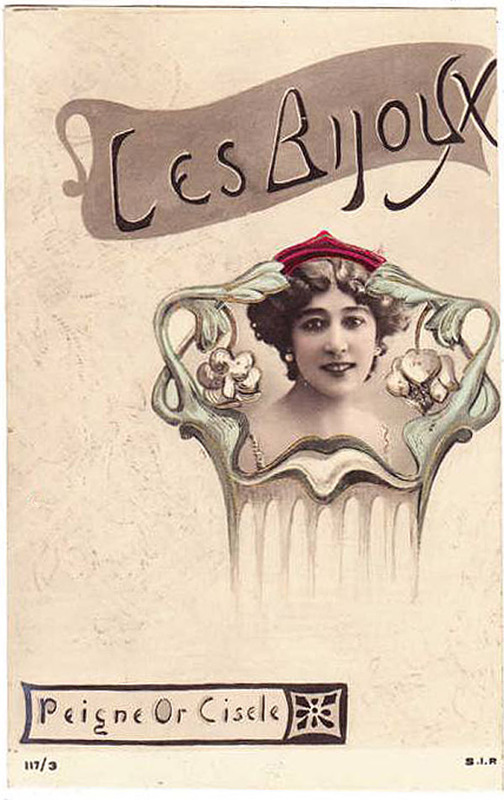 Postcard “Les Bijoux” # 117/4, “Epingle A Cheveux”. 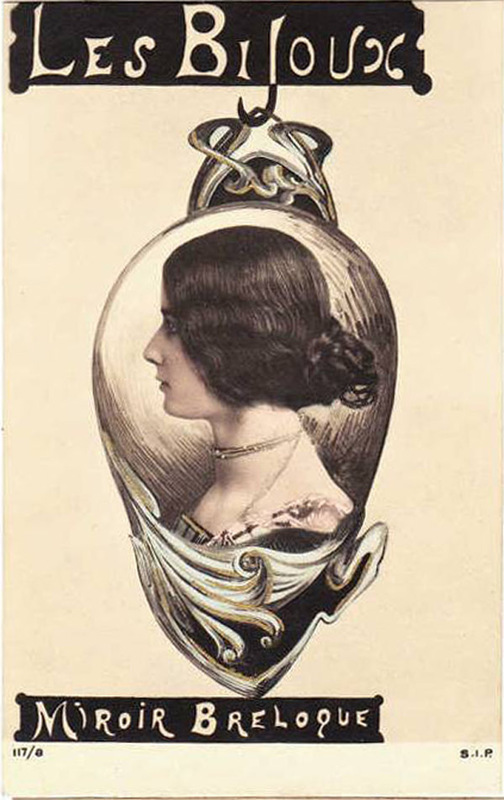 Postcard “Les Bijoux” # 117/5, “Pendant de Collier”. 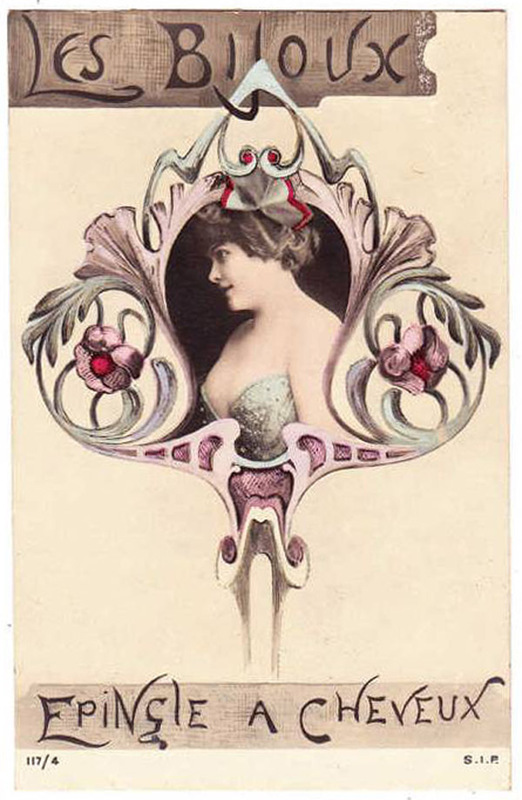 Postcard “Les Bijoux” # 117/6, “Broche Pendentif Or Ciselé”. 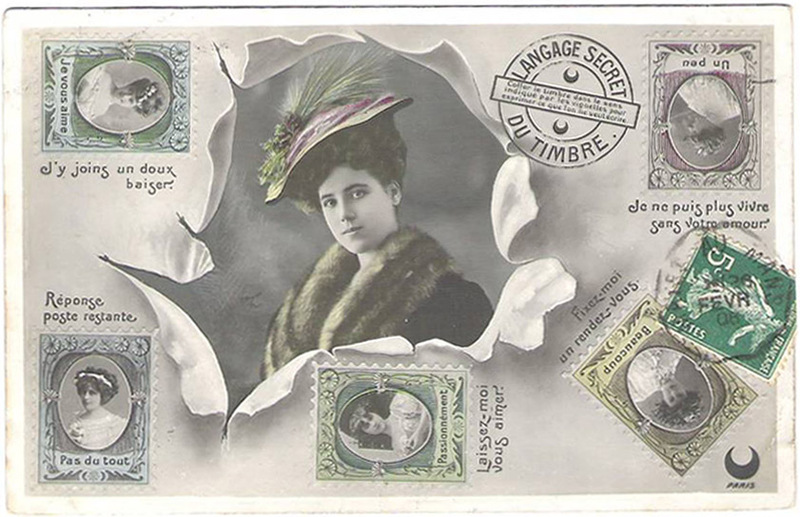 Photo of Geneviève Lantelme. 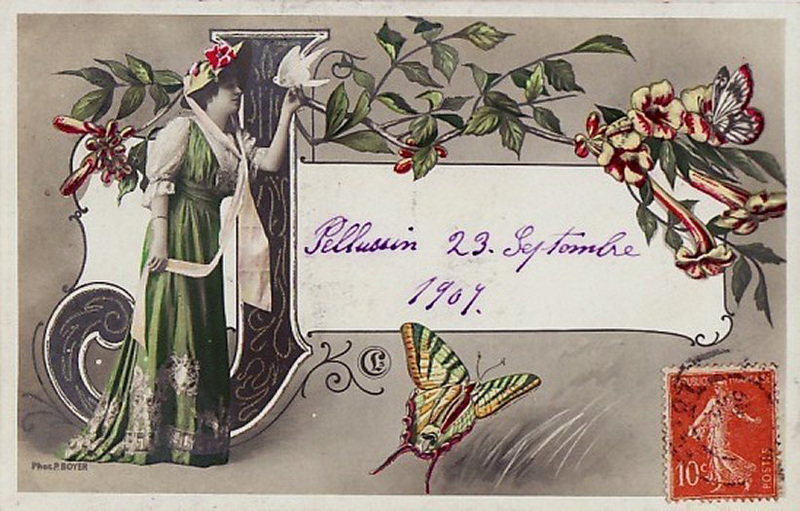 Postcard “Les Bijoux” # 117/7, “Peigne Ecaille & Or”. 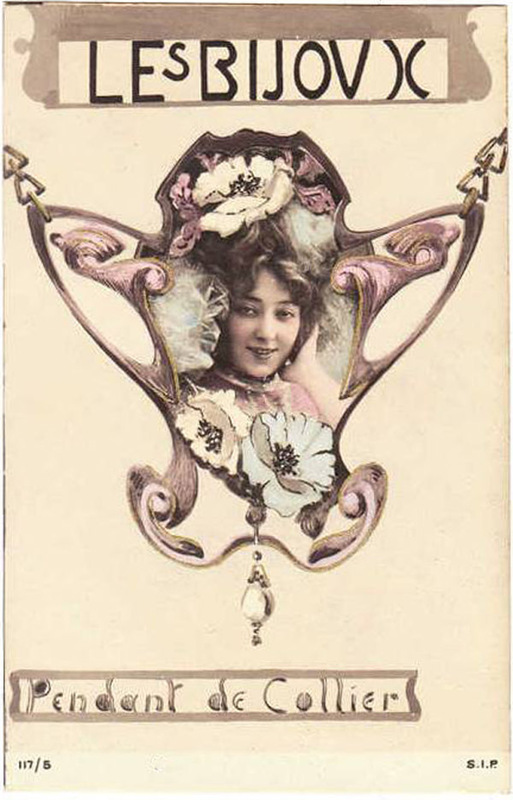 Postcard “Les Bijoux” # 117/8, “Miroir Breloque”. 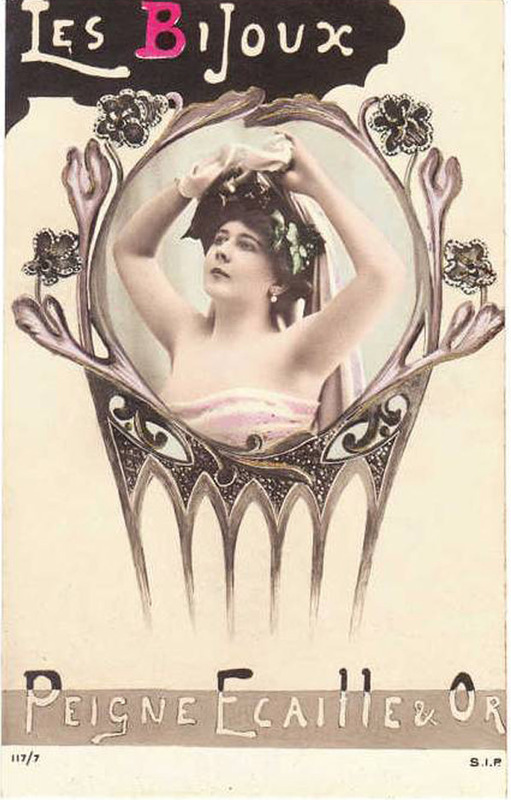 Photo of Cleo de Merode. 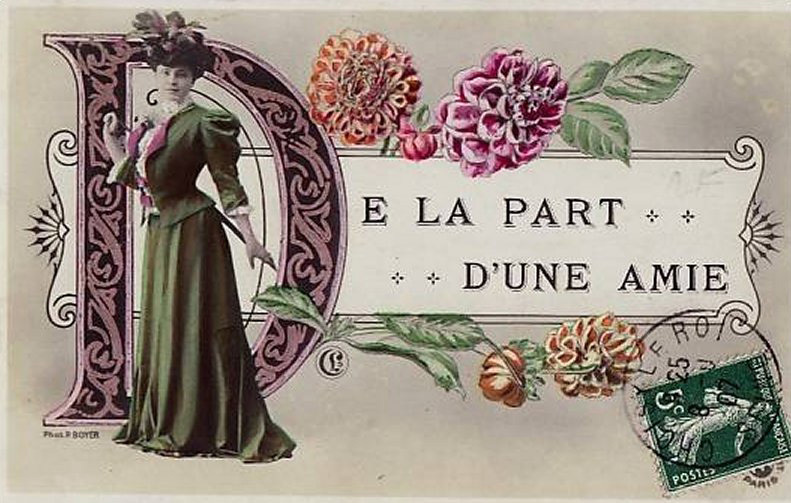 Scan by me, other pictures found via google. 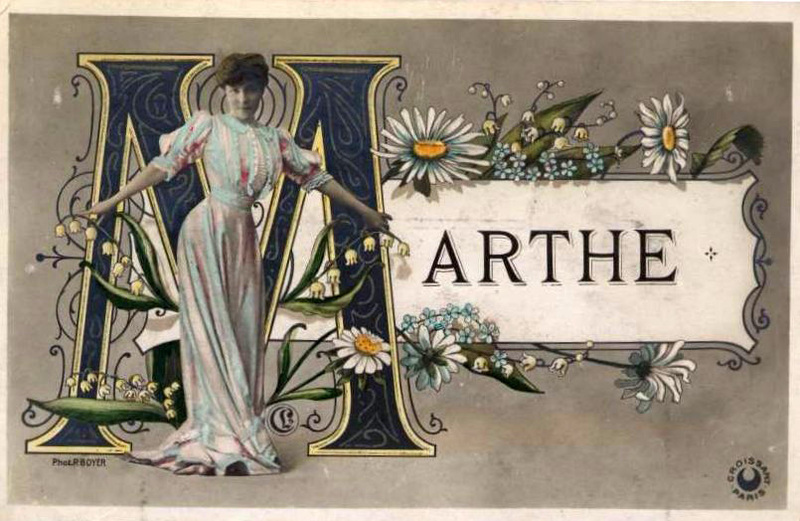 ABC postcard series, when one postcard represents one letter, seem to be very popular before I World War. 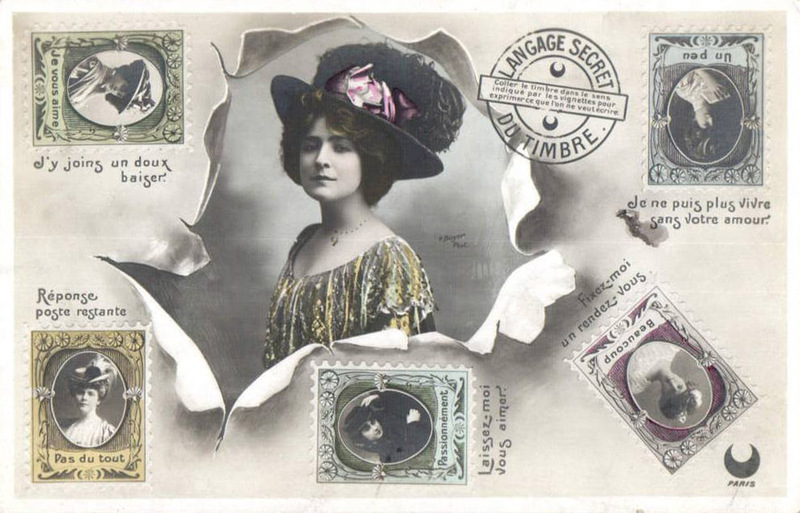 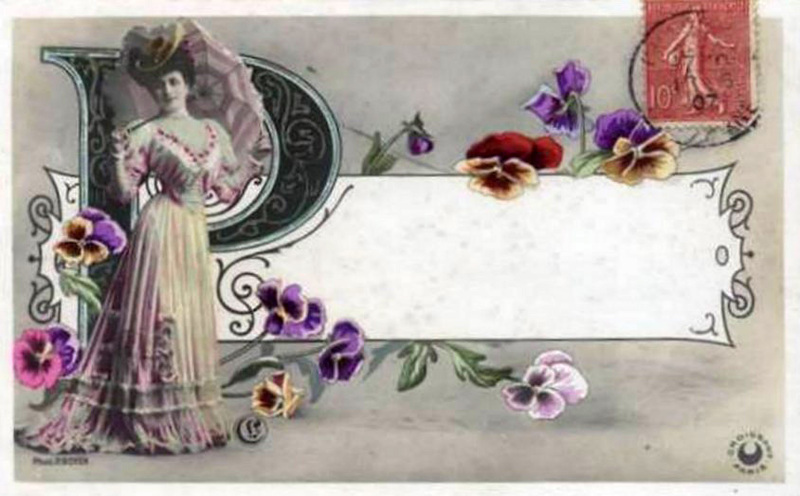 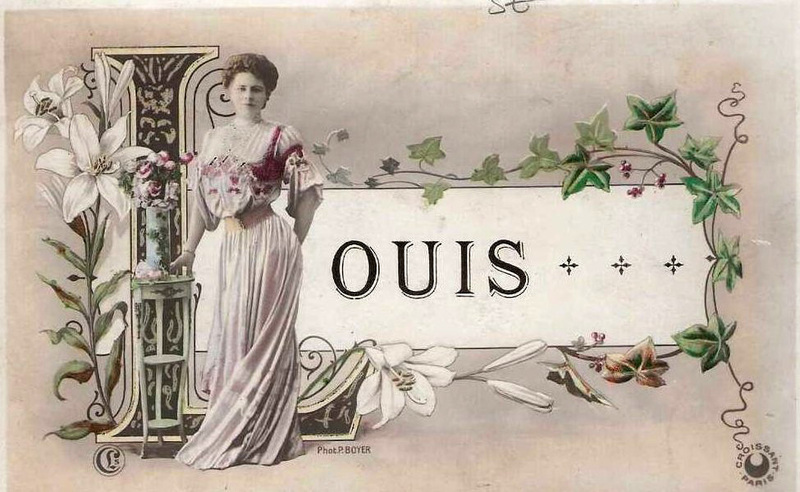 In fact these postcards showed letters as sophisticated collages and often used photos of beautiful ladies of la Belle Epoque. 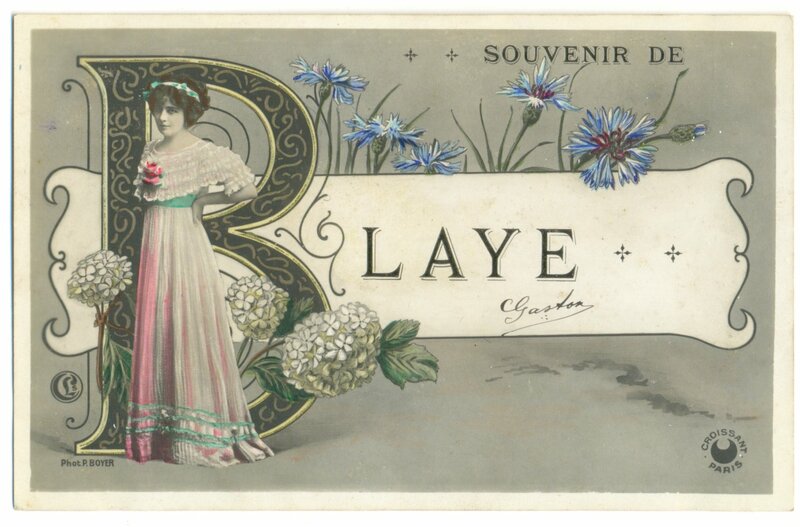 Today I’d like to talk about a series where we can see Lantelme among others. 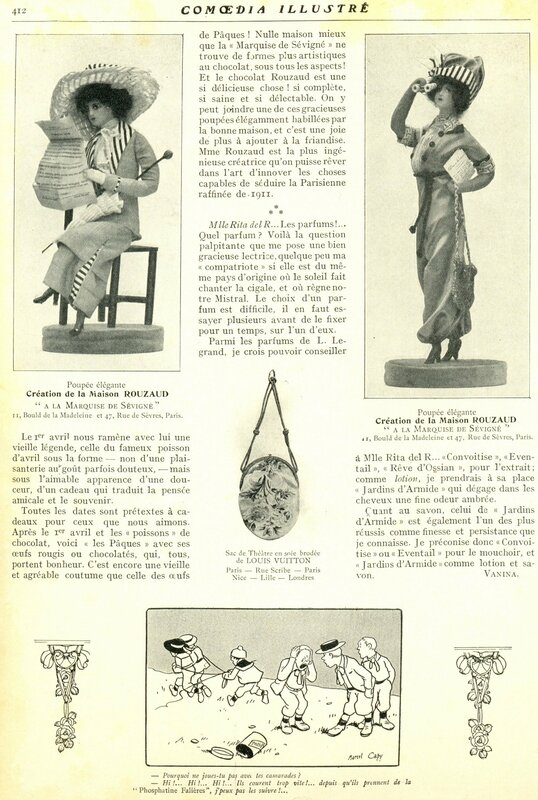 I called this series “alphabet charade Boyer Croissant”, because it was published by “Croissant” circa 1907 and used photos made by photographer Paul Boyer. 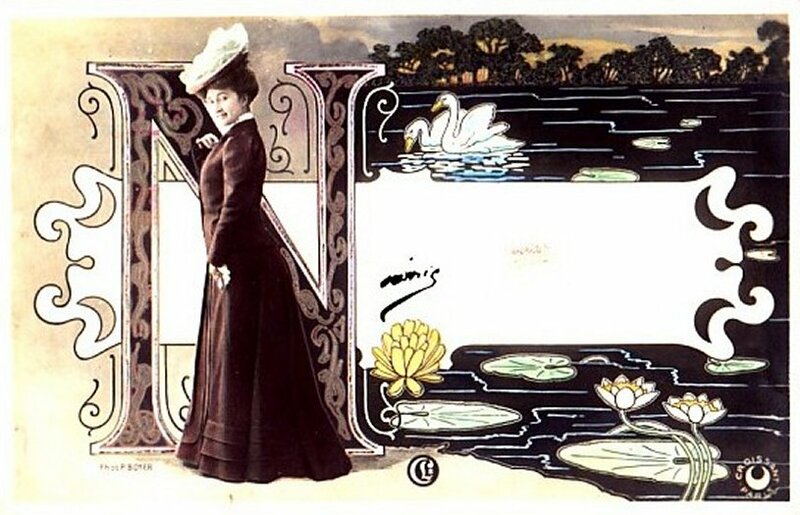 I also use the word charade, because on every postcard we can see flowers (or plants) beginning with the same letter (in French of course) as the big letter. 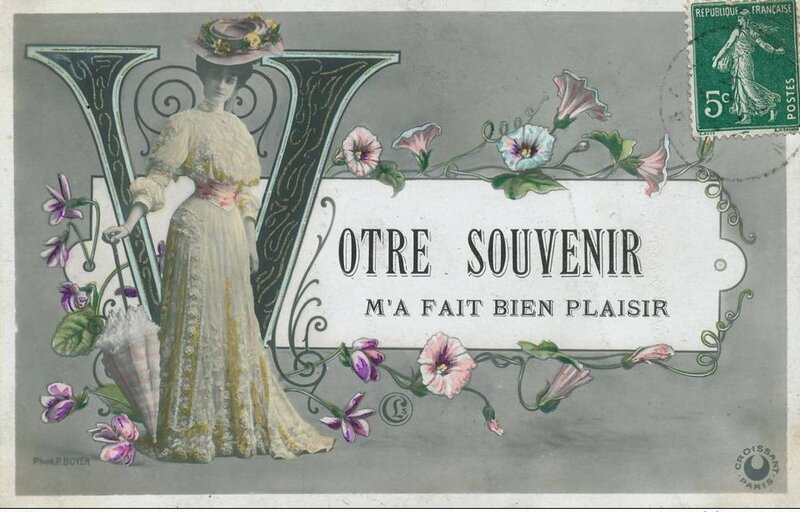 Unfortunately the ladies photos are without names, and I didn’t recognize some flowers, so any help is welcome! 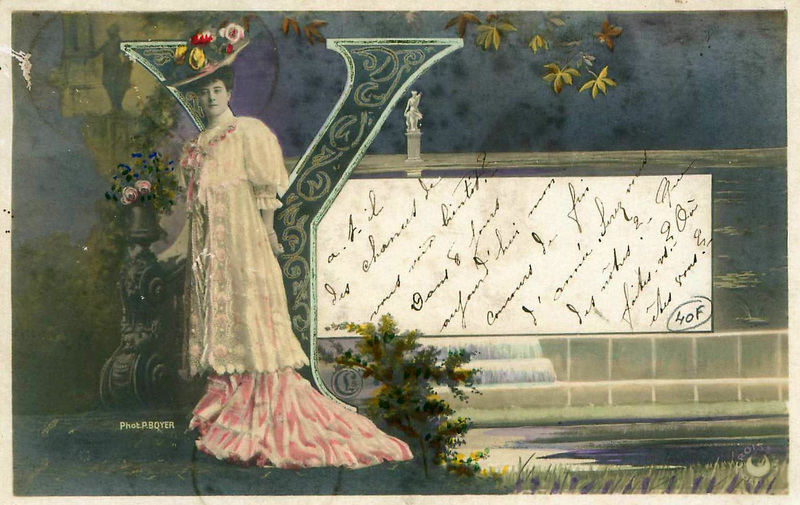 Postcards of this ABC series were printed in slightly different versions using not only a big letter but also names, cities and phrases beginning with this letter. 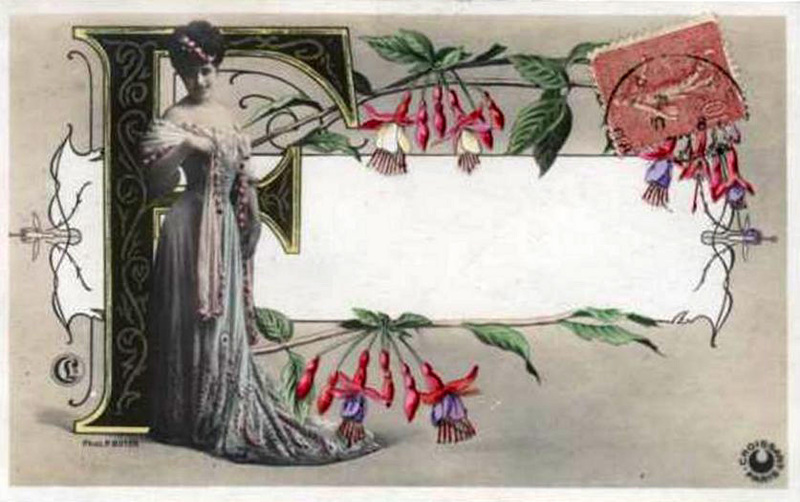 Lantelme’s photo is on the postcard with letter B (and its versions). 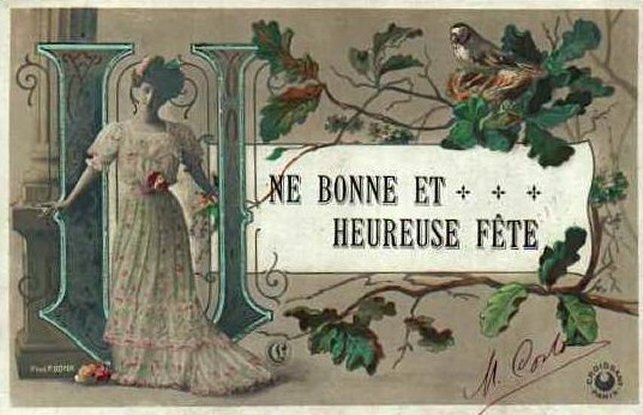 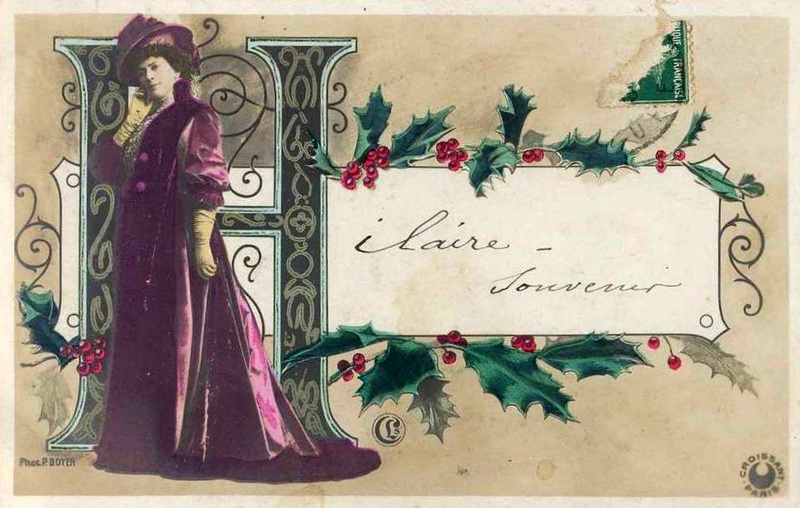 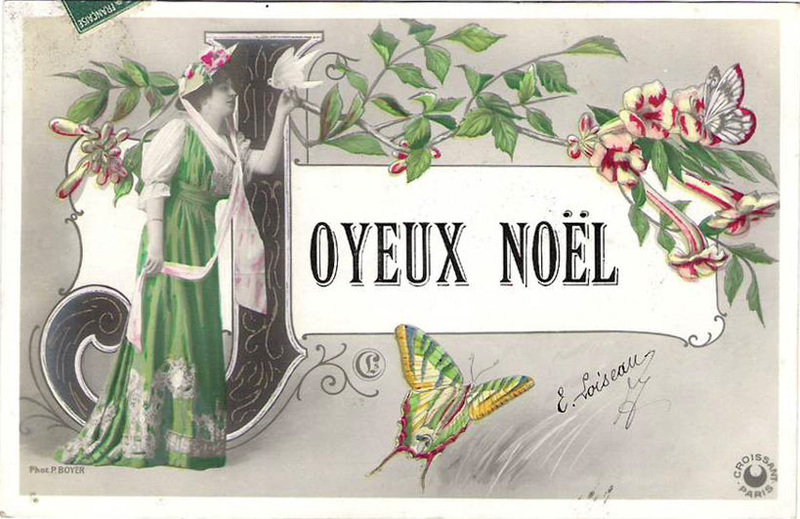 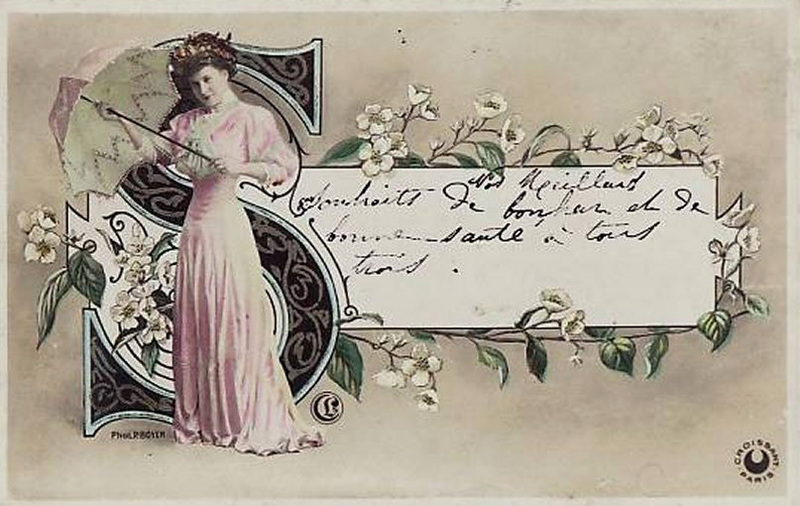 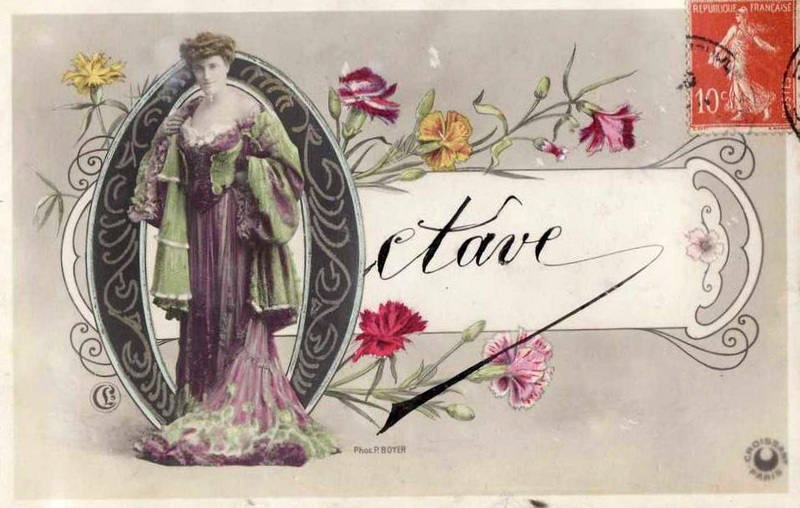 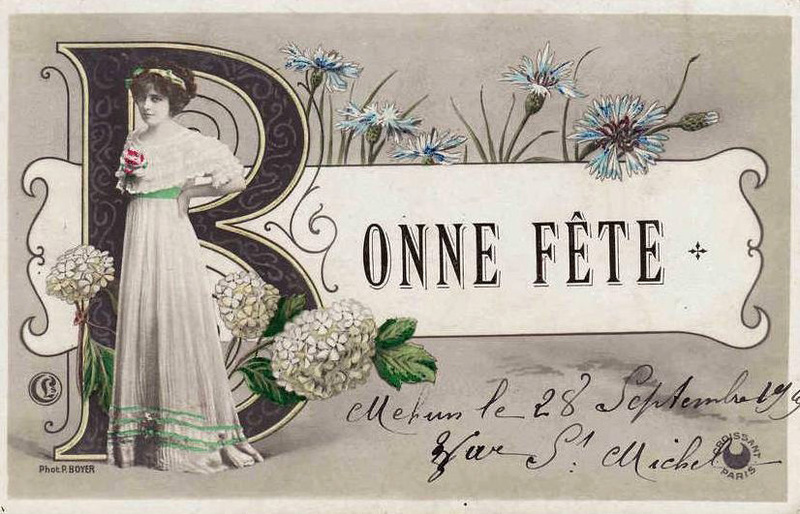 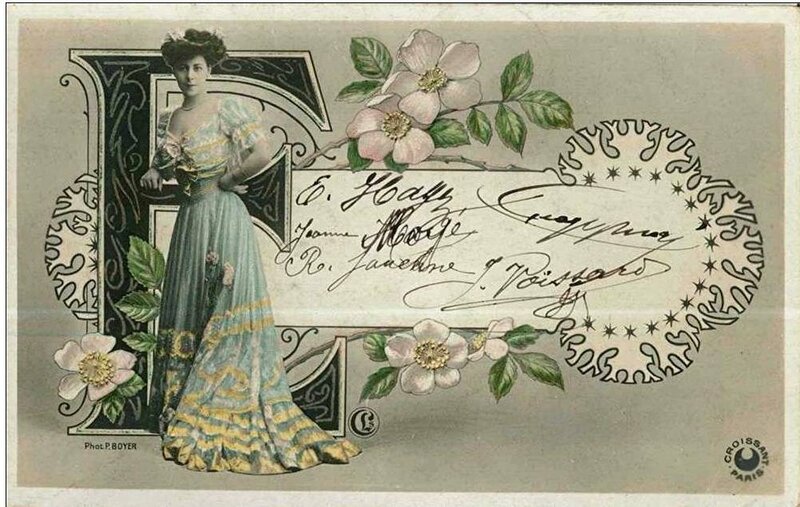 Some postcards with rarely used initial letters are without flowers, with pictures of landscapes (just because there are no flowers in French beginning with this letter). 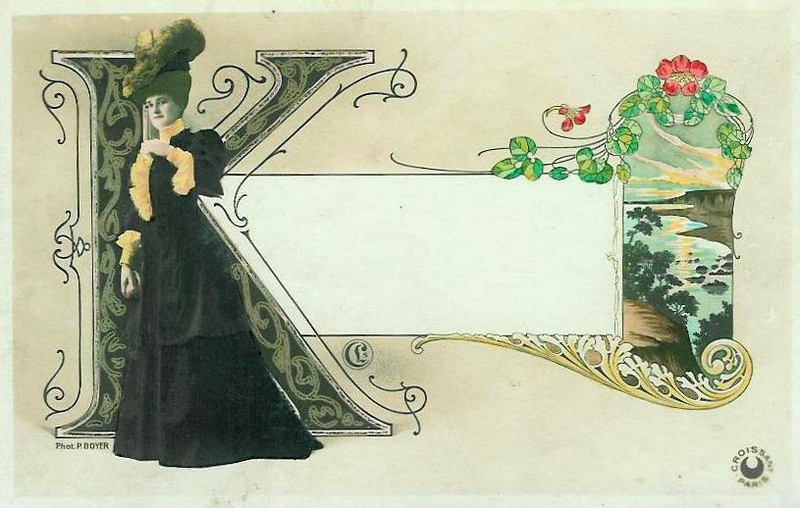 And I have to say I couldn’t find letters Q, W and X. 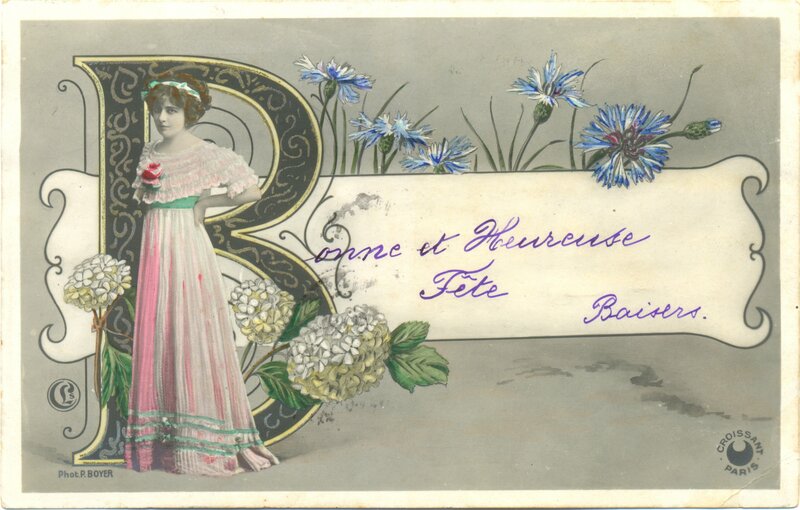 B, bleuet, boule de neige. 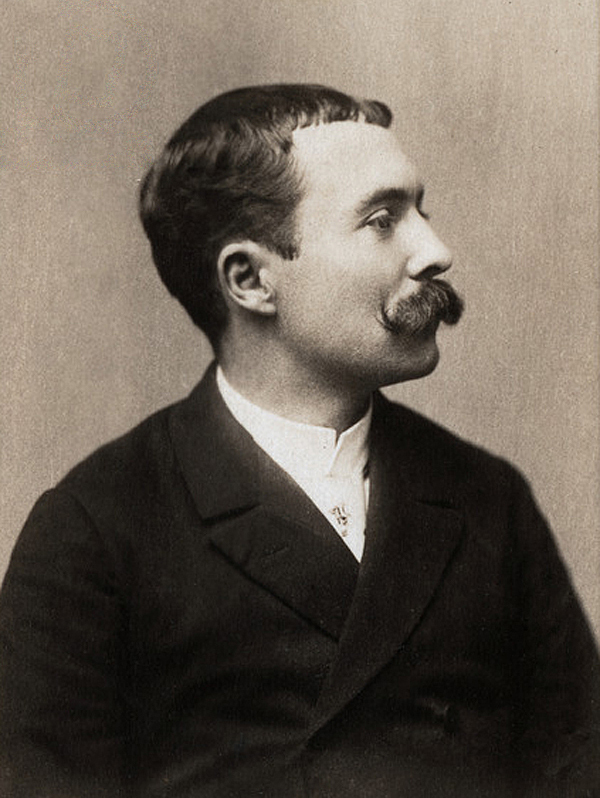 Photo of Lantelme. 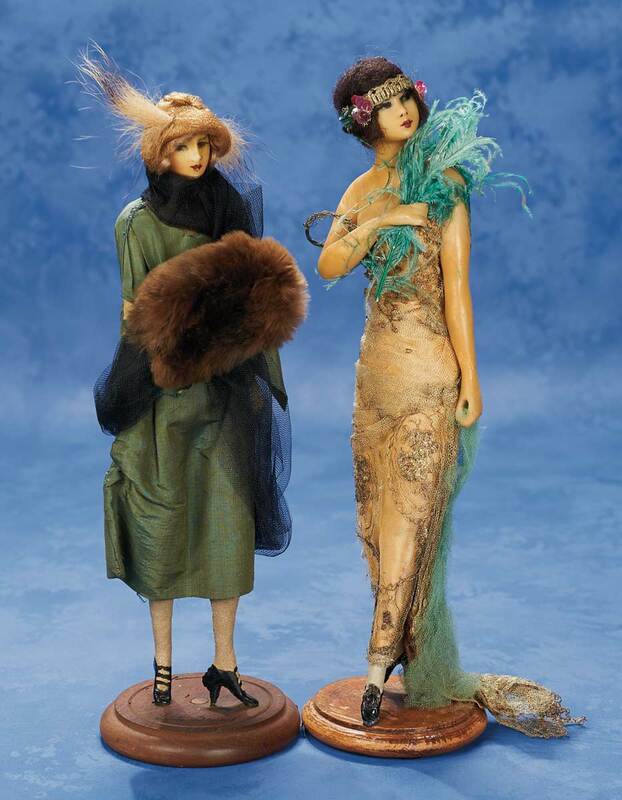 I’ve seen on internet also versions with Marie and Marguerite, but can’t find them now. 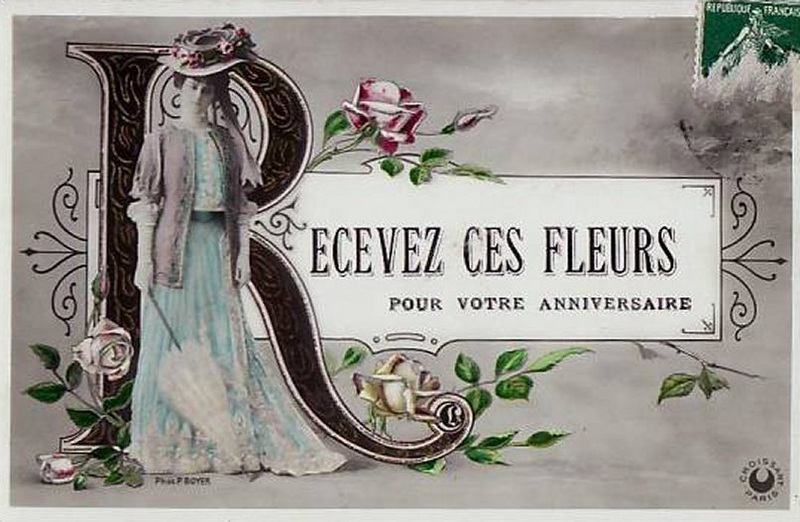 T, tulipe, trèfle. 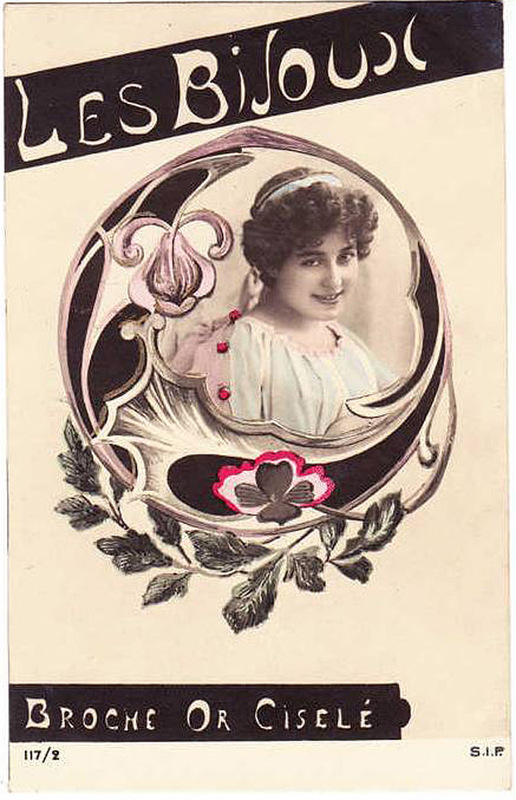 Photo of Blanche Toutain (I’m not sure). 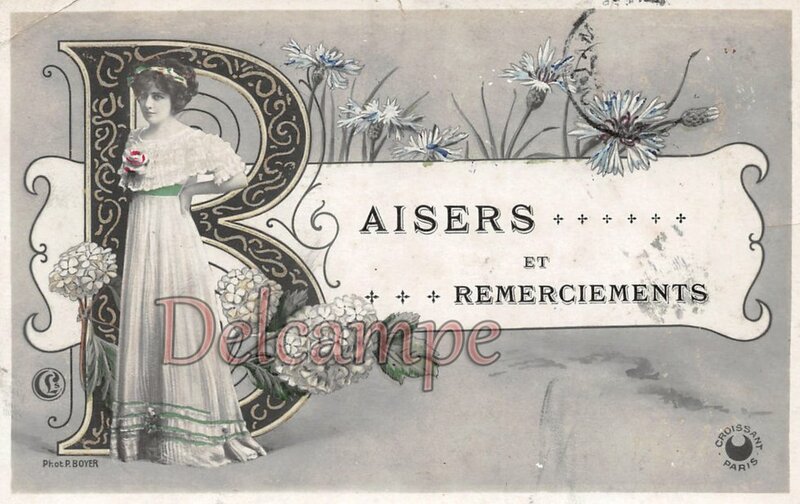 Scans by me, other pictures found on delcampe. 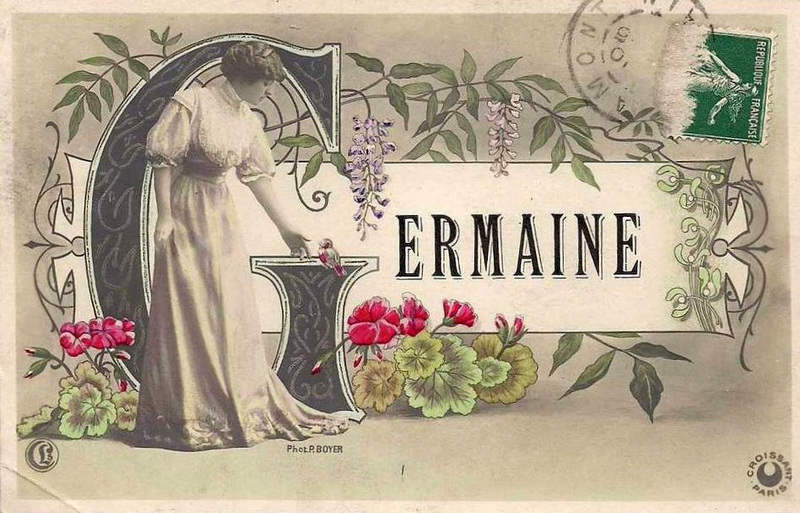 UPD: many thinks to Corinne for naming the flowers I didn’t recognize!